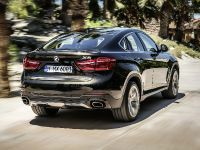 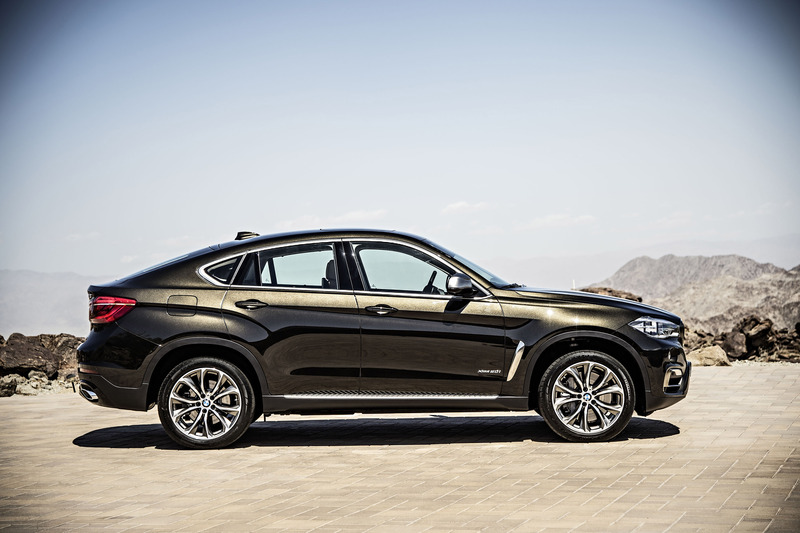 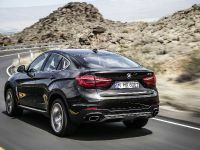 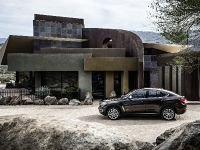 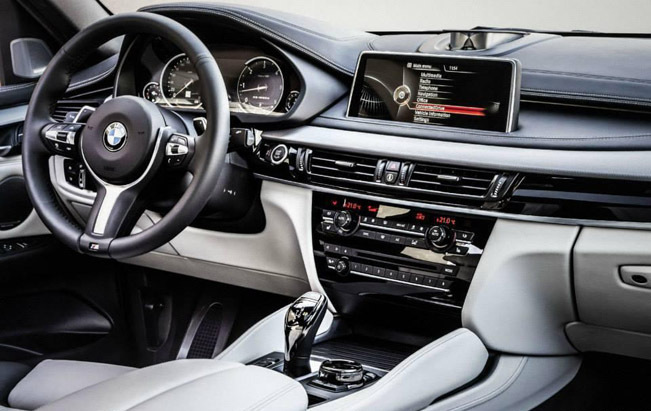 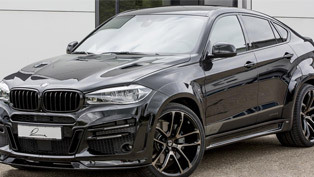 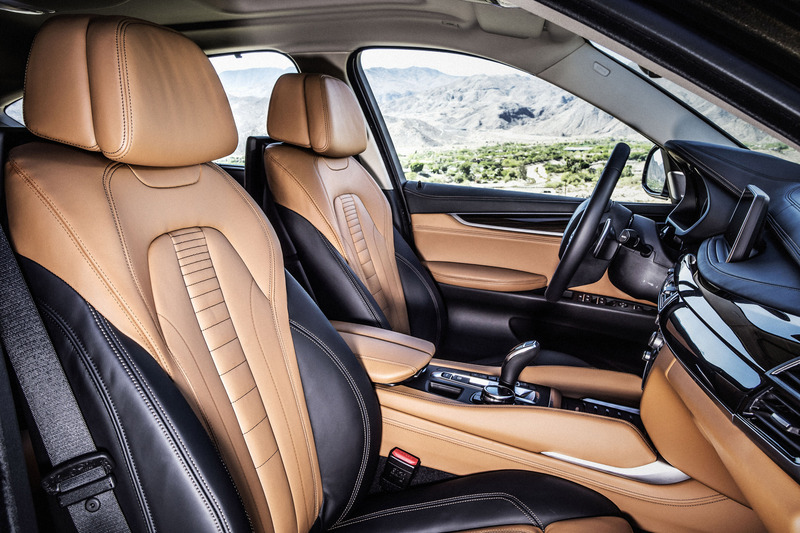 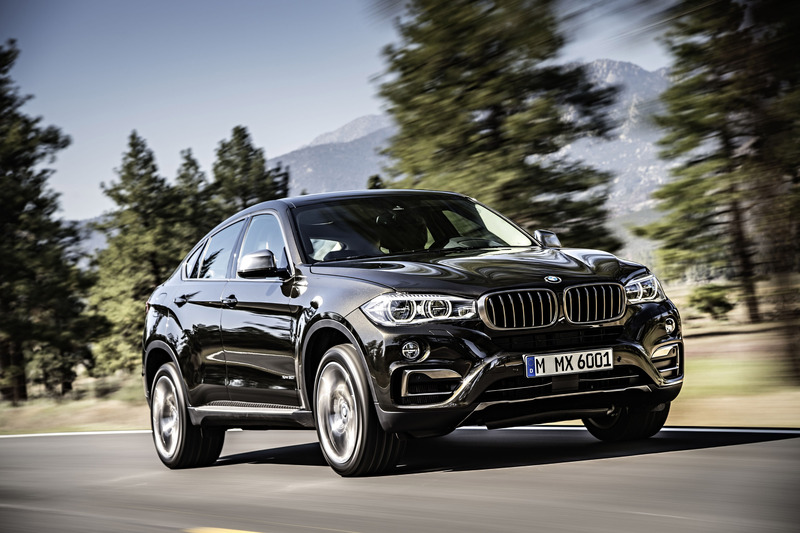 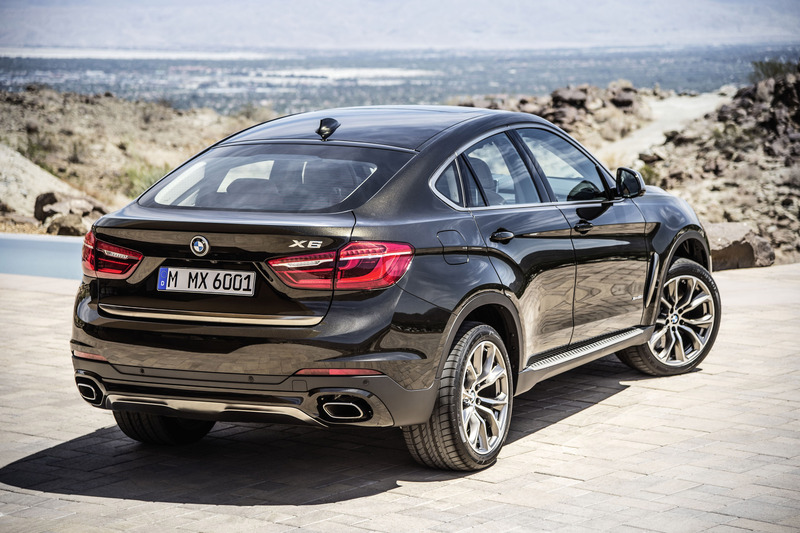 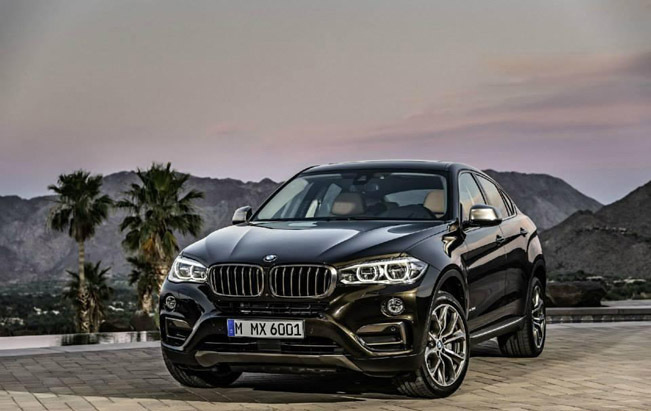 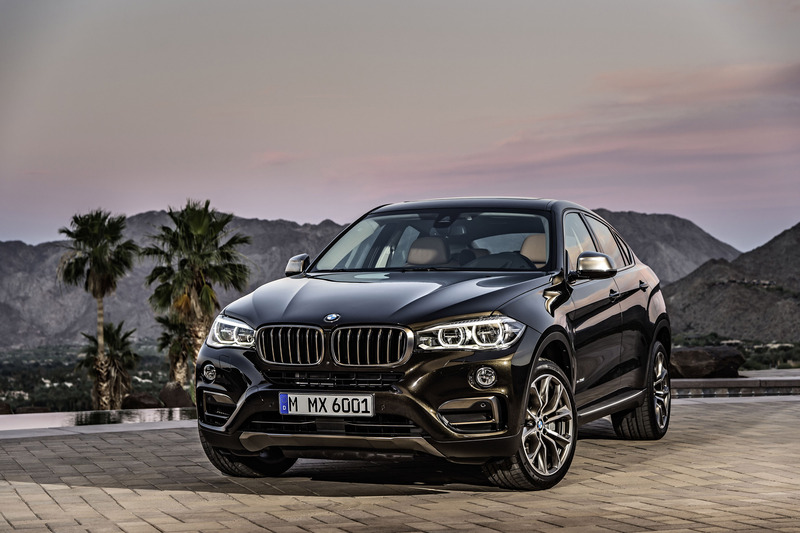 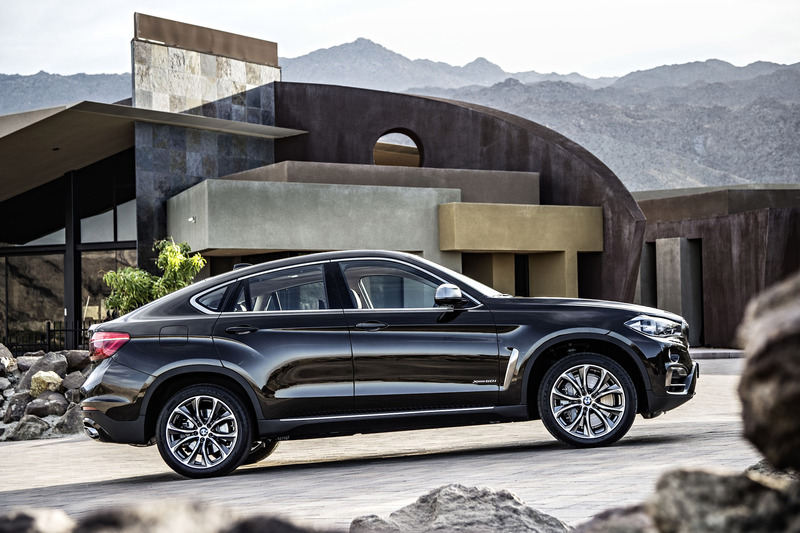 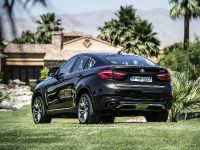 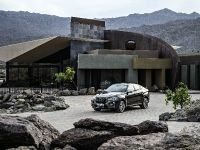 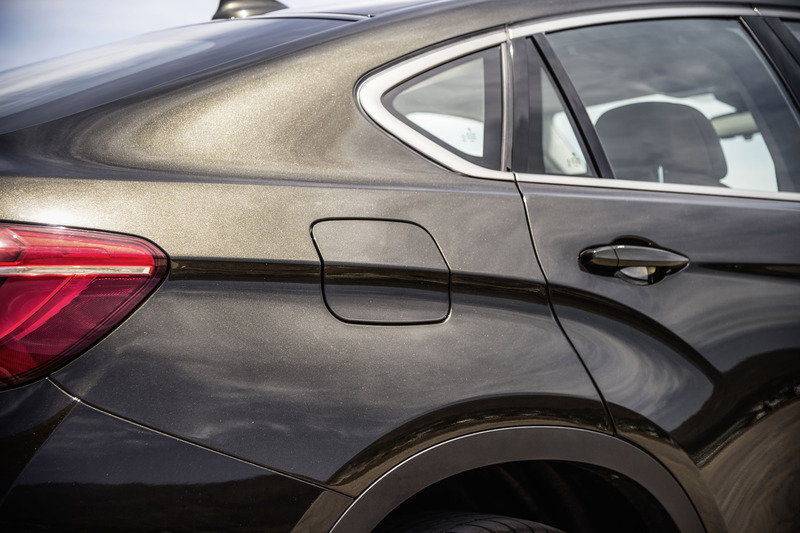 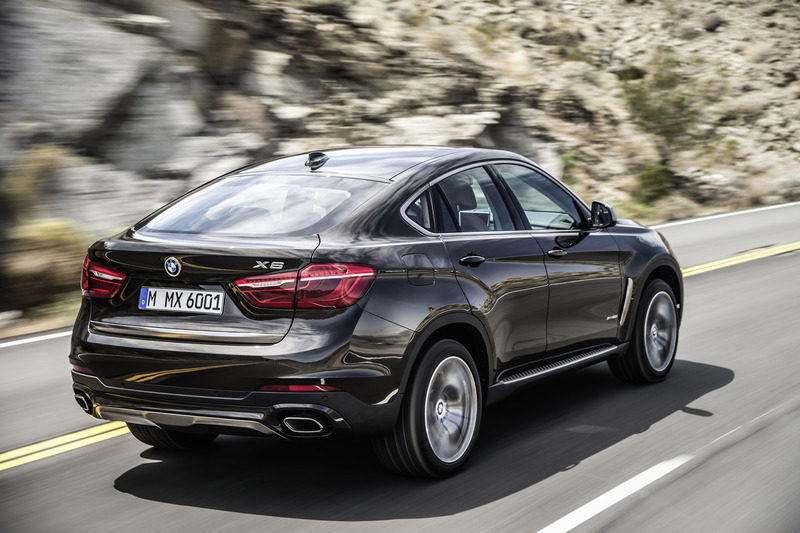 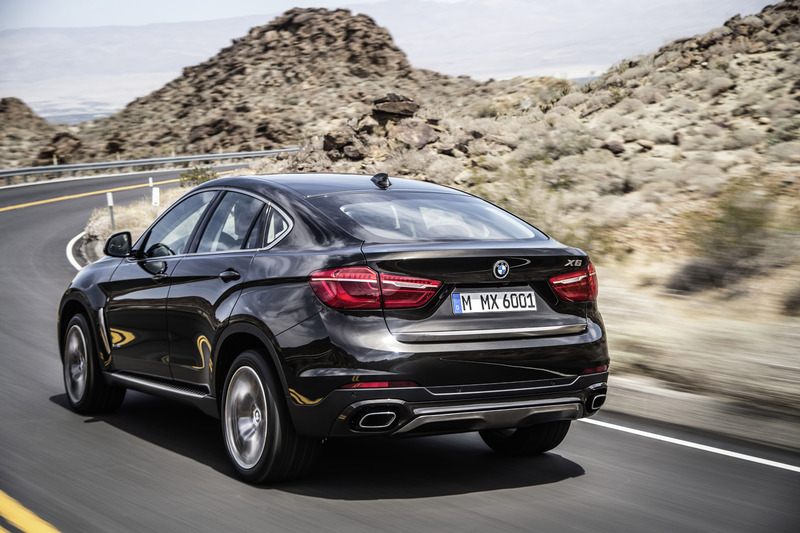 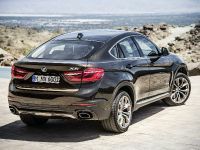 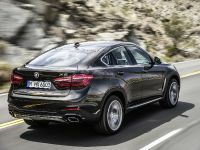 2015 BMW X6 F16 - Just Impressive! 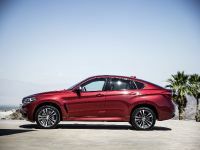 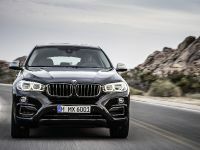 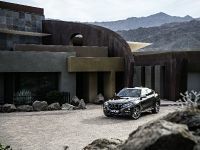 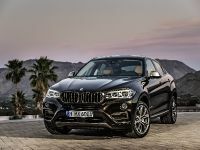 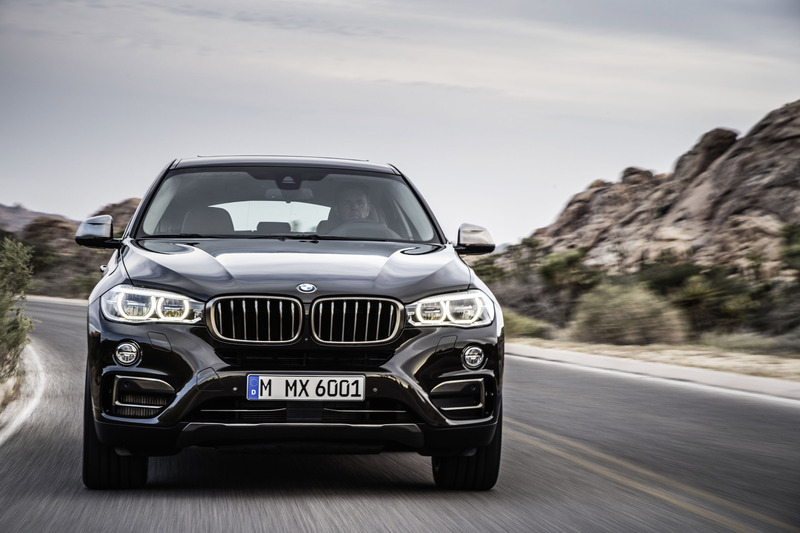 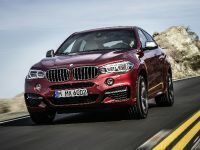 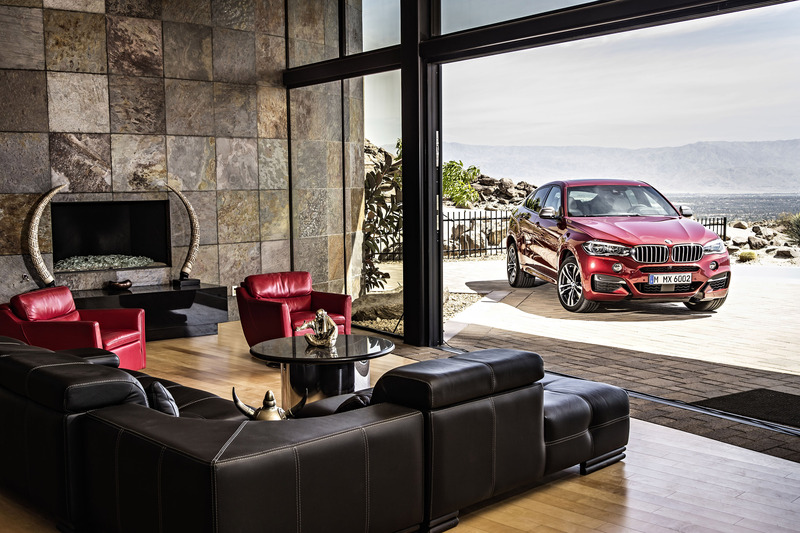 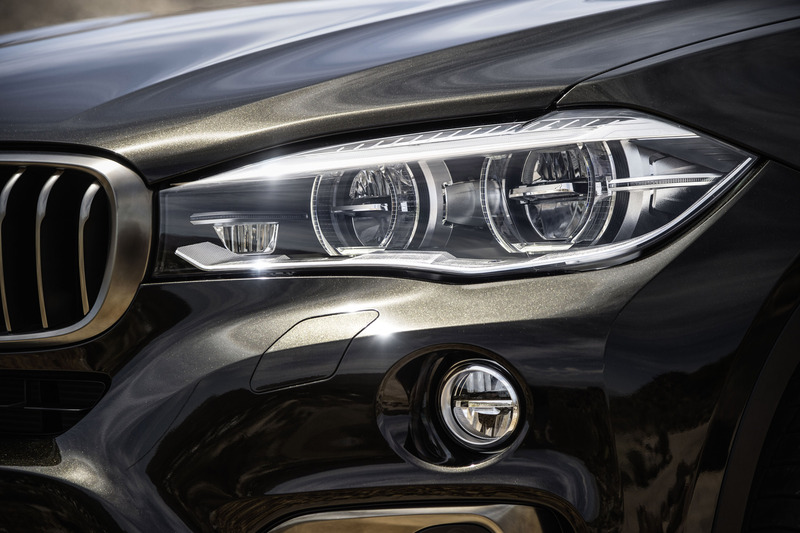 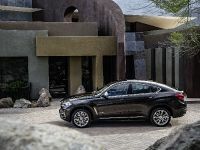 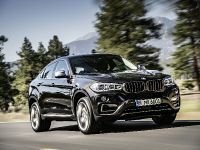 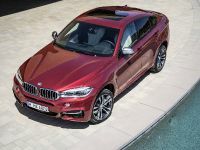 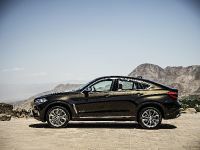 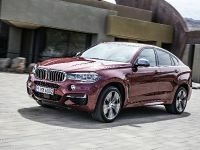 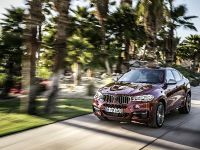 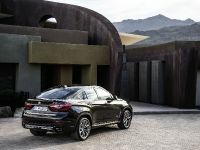 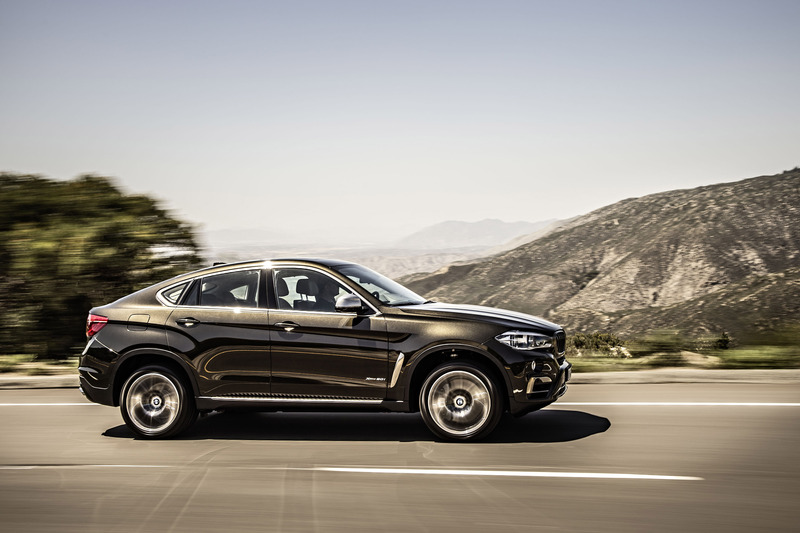 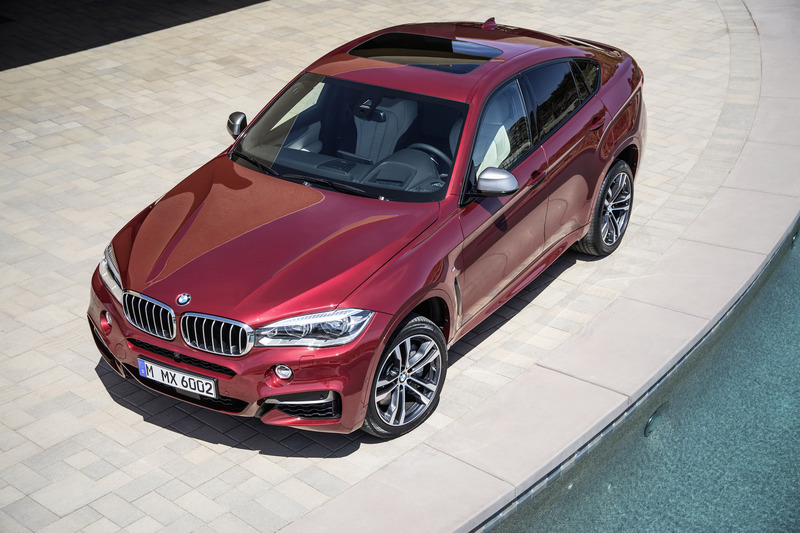 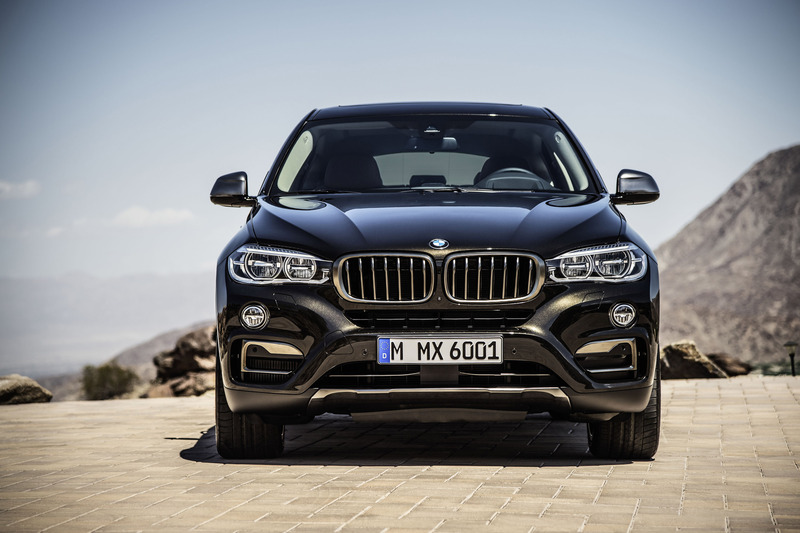 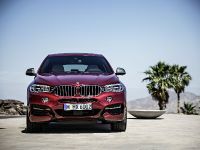 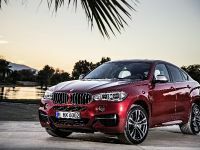 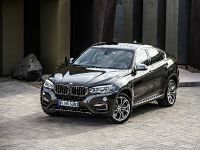 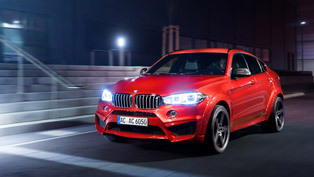 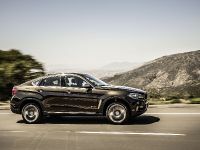 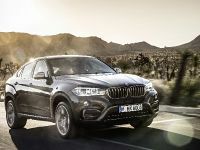 BMW has officially unveiled the new 2015 X6 F16 Sports Activity Coupe. 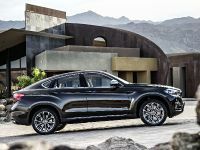 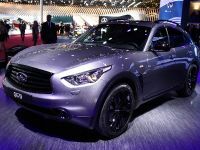 It is expected to hit the market in December this year. 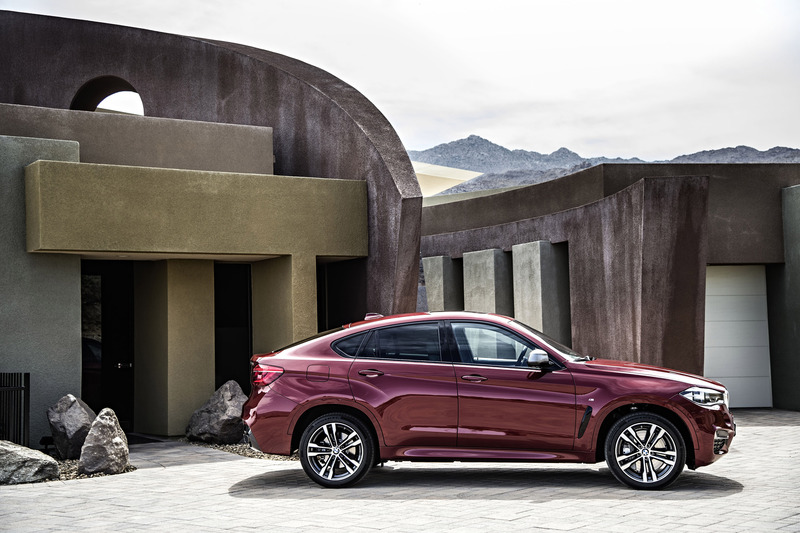 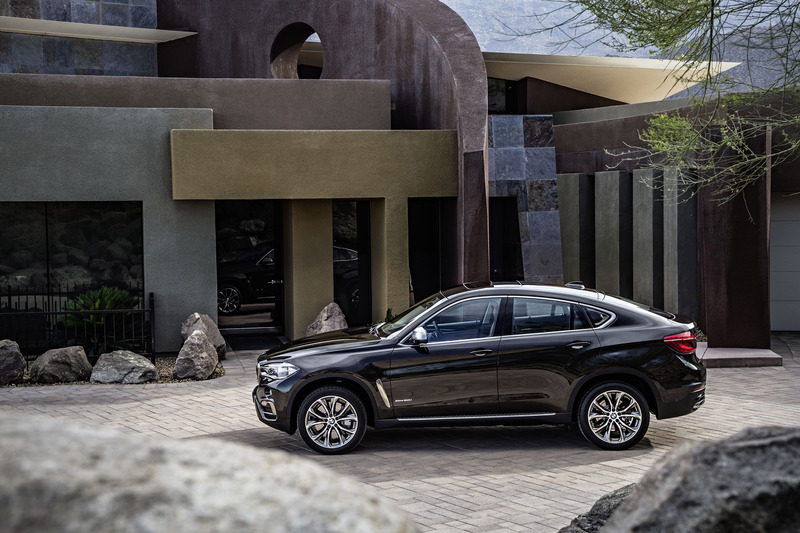 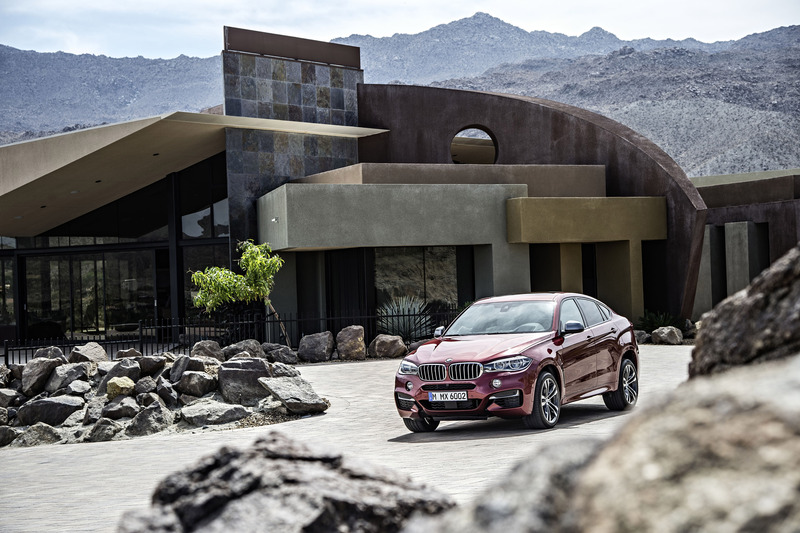 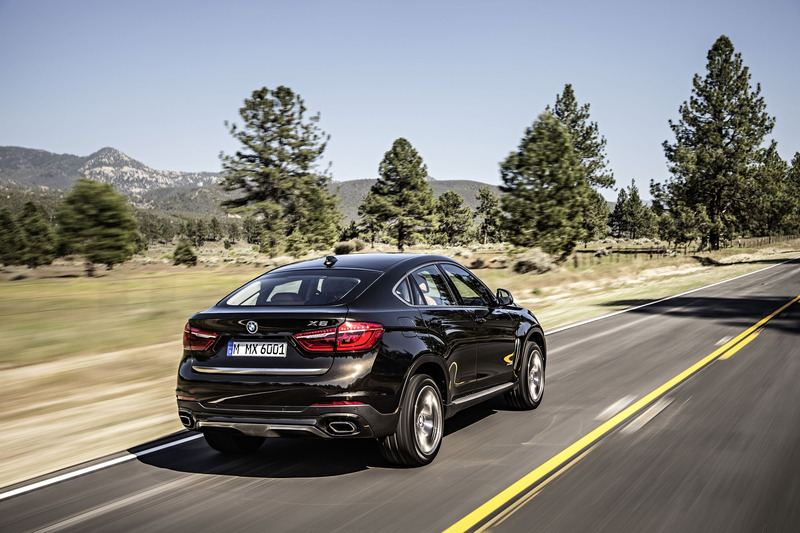 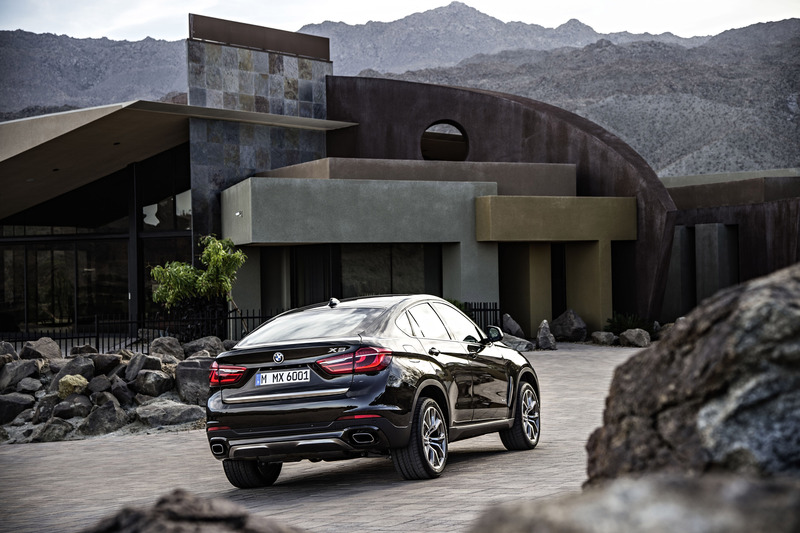 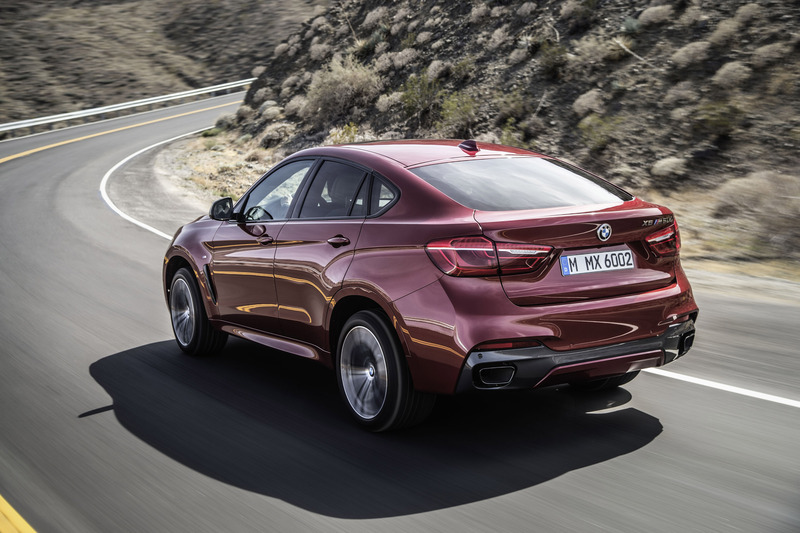 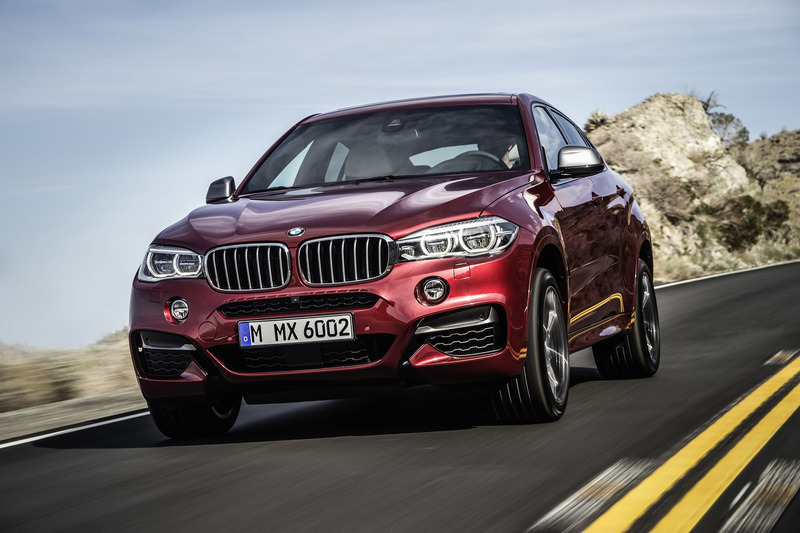 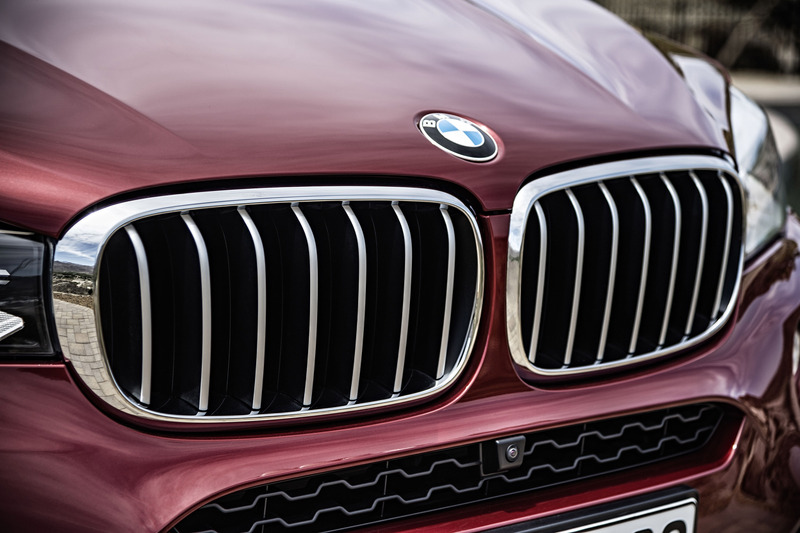 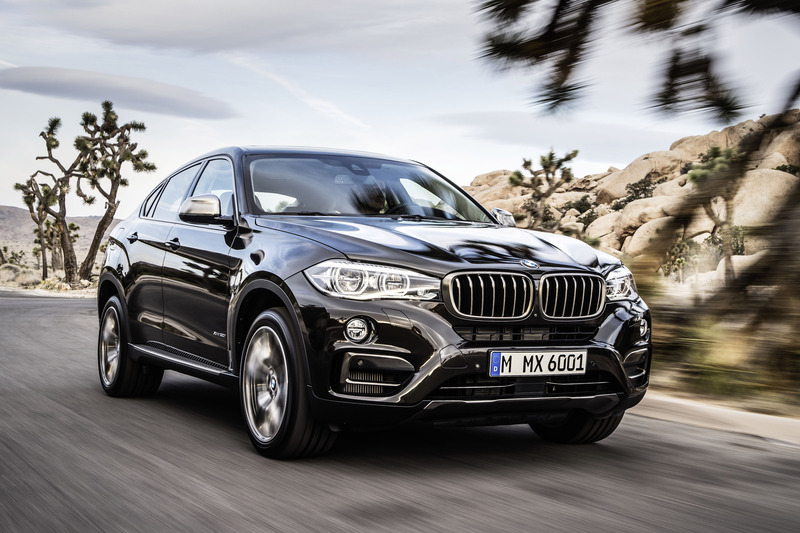 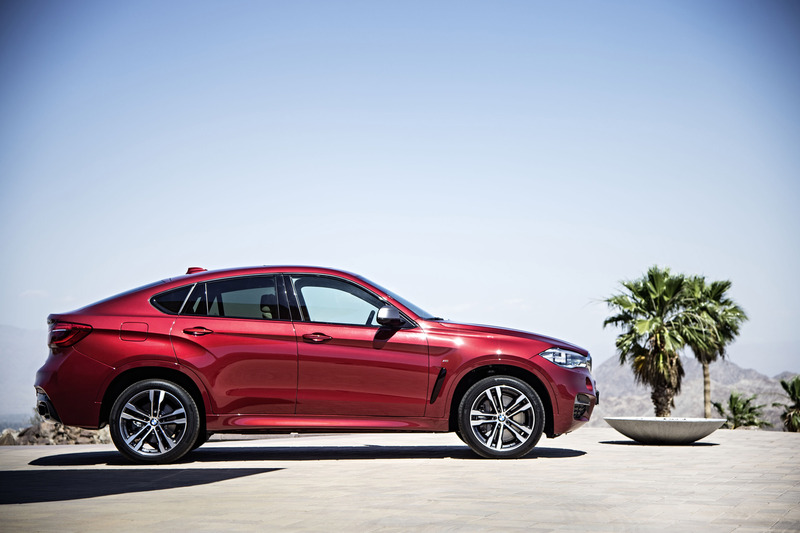 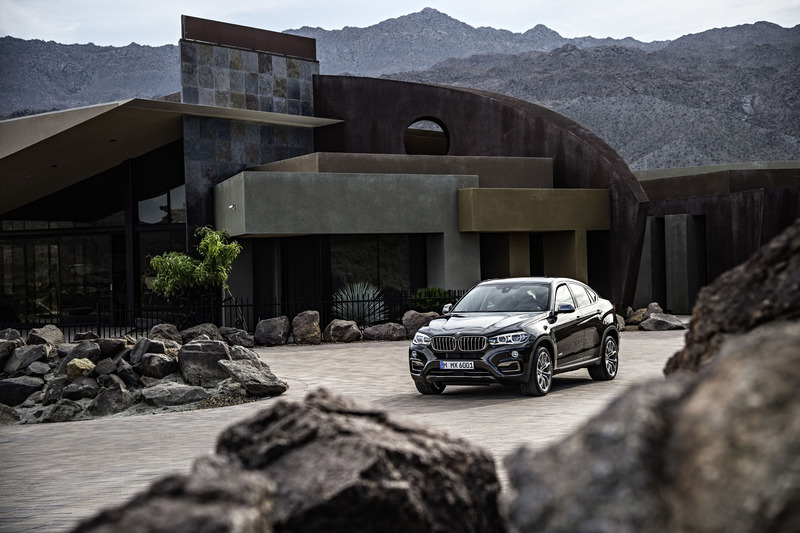 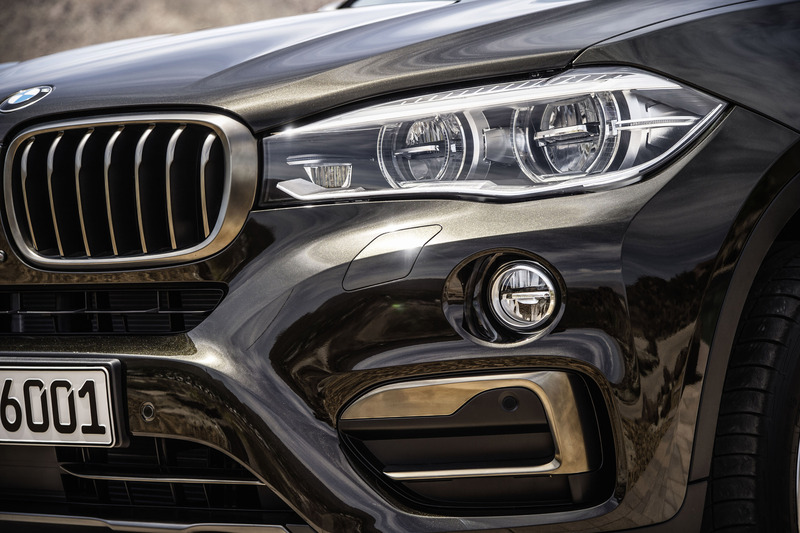 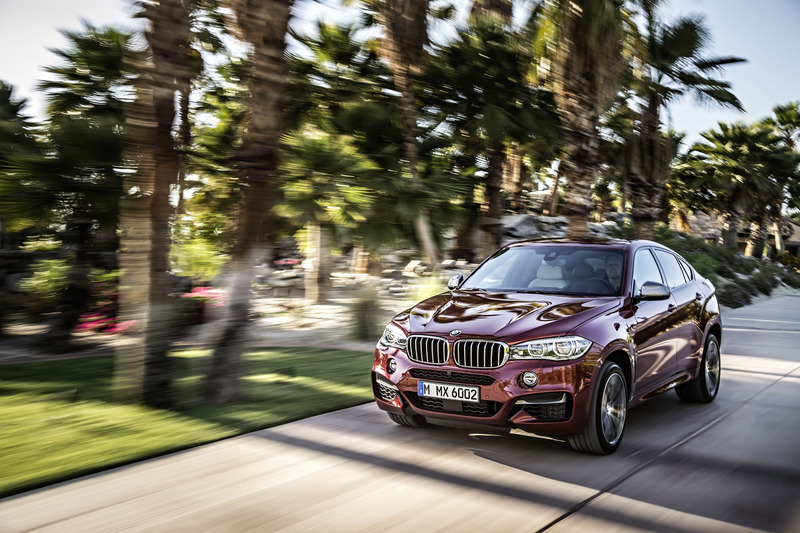 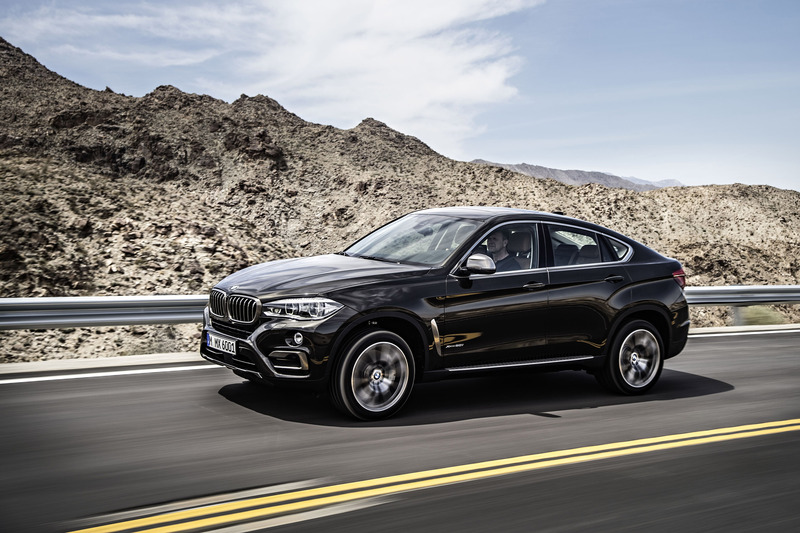 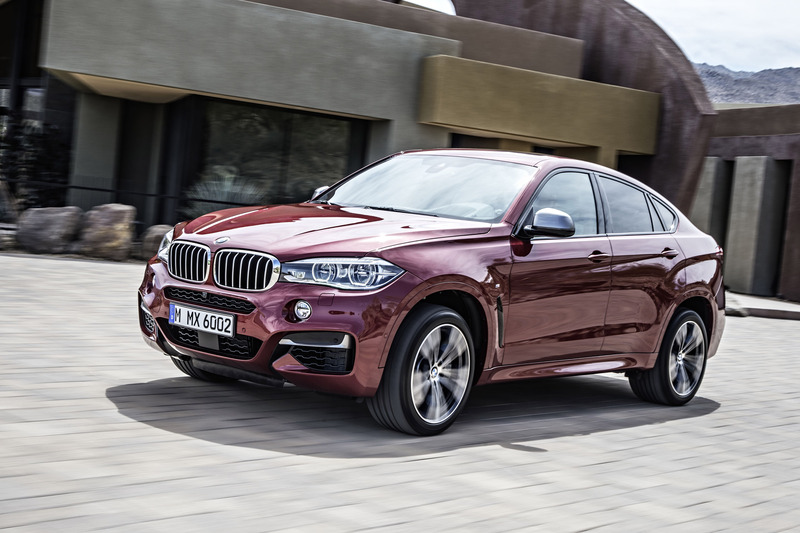 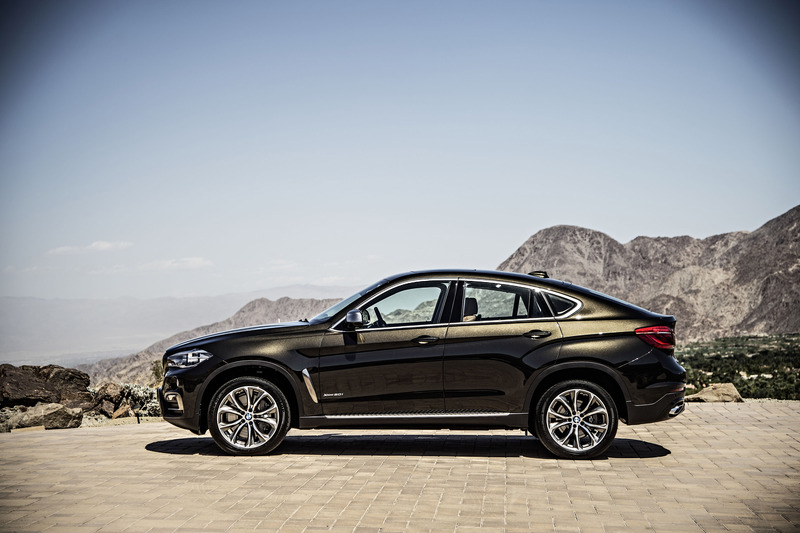 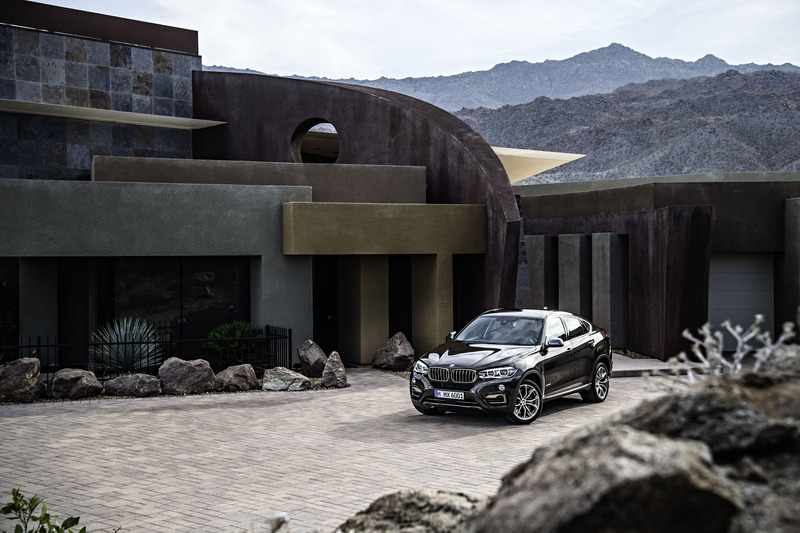 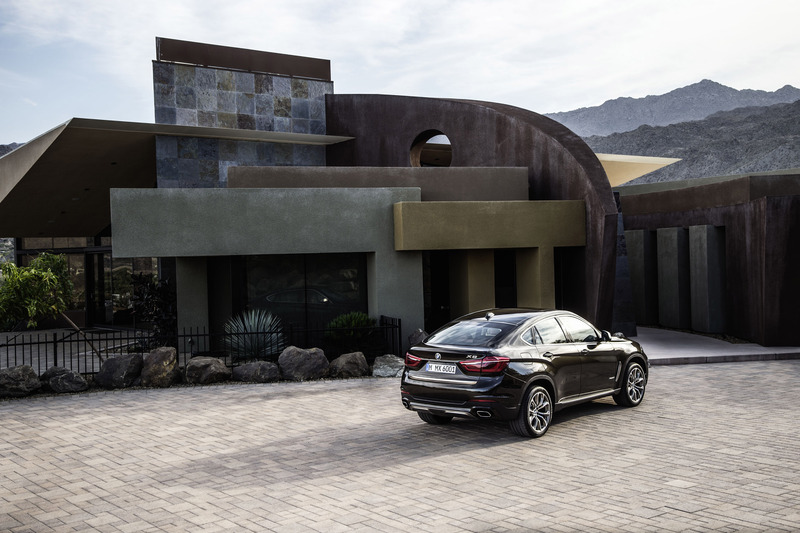 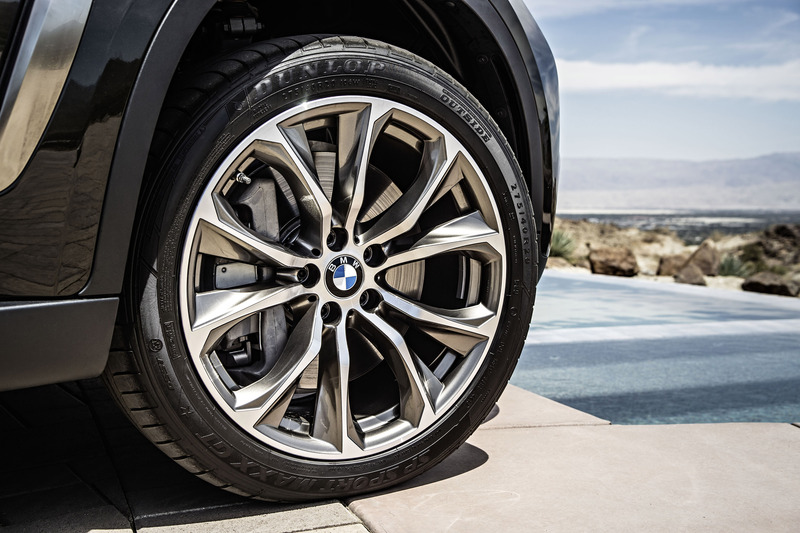 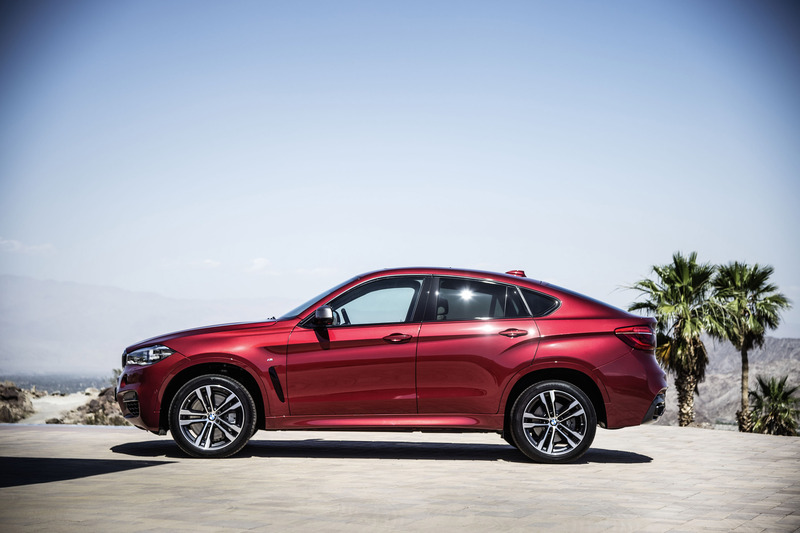 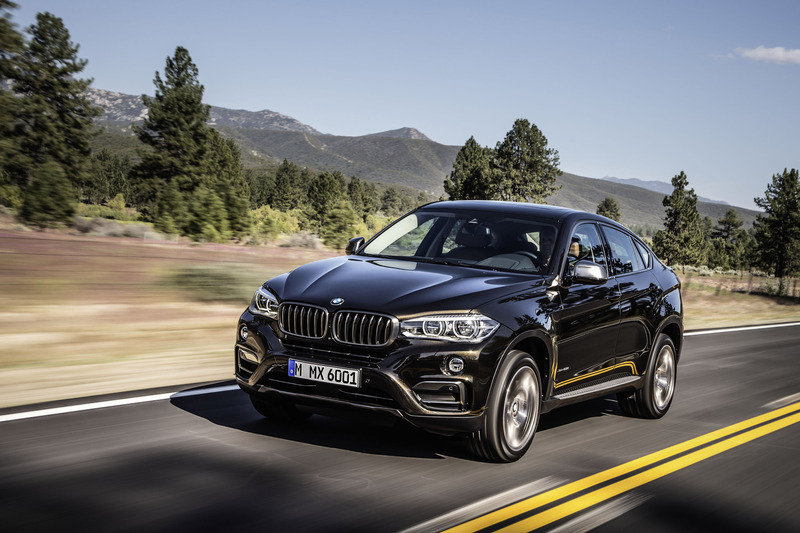 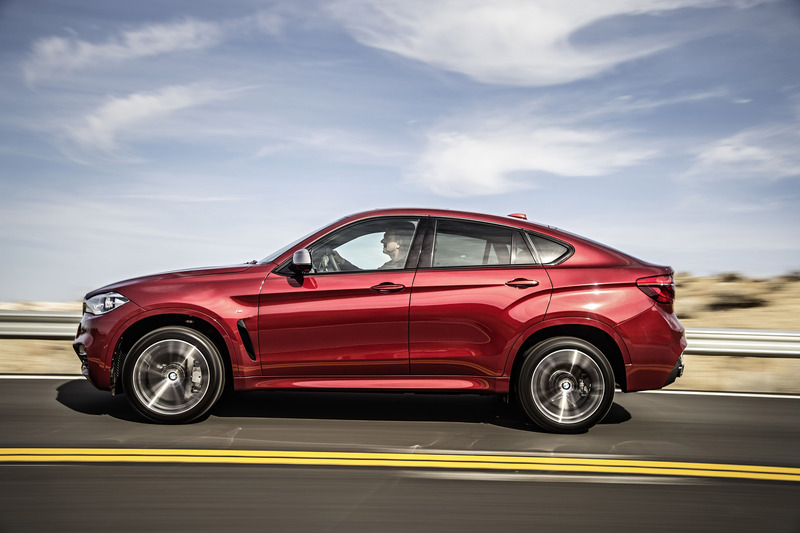 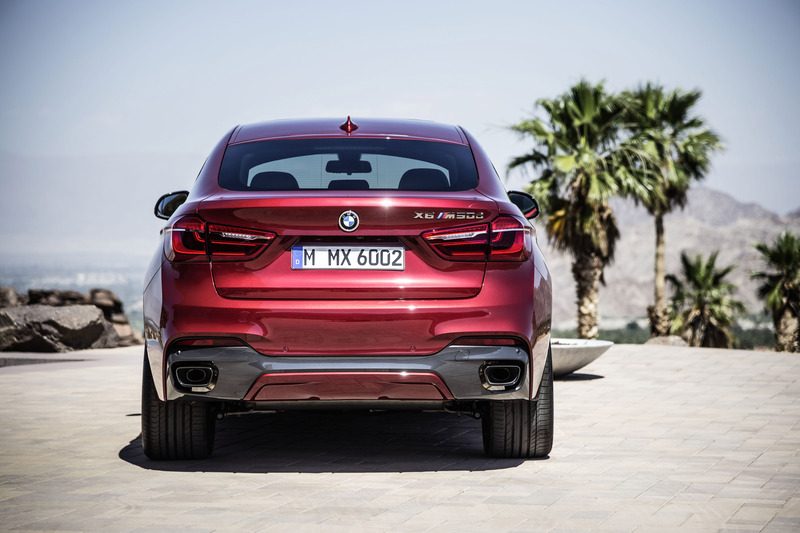 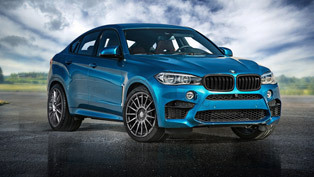 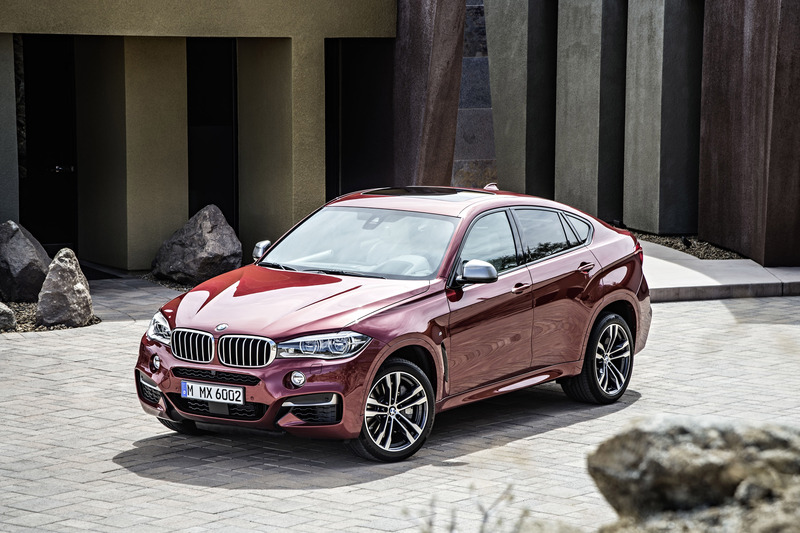 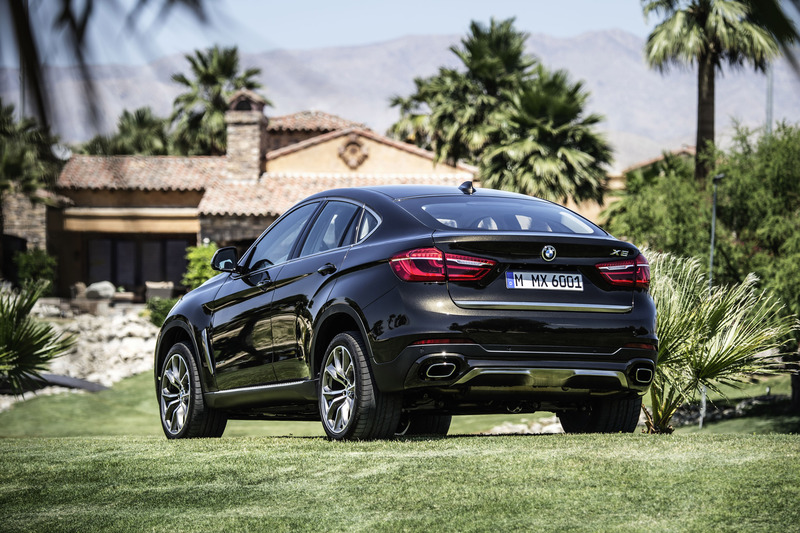 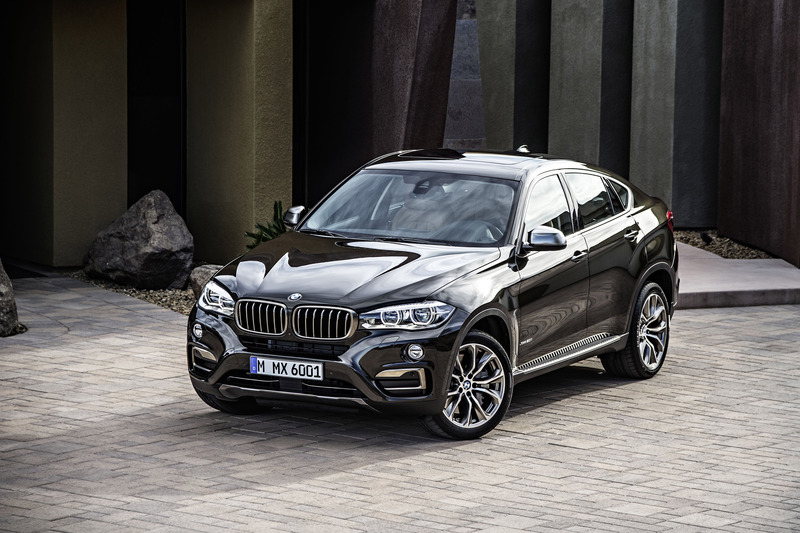 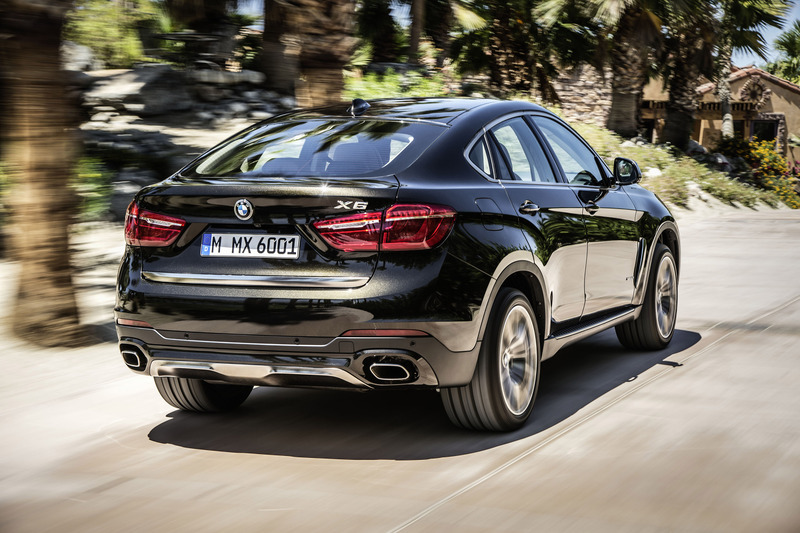 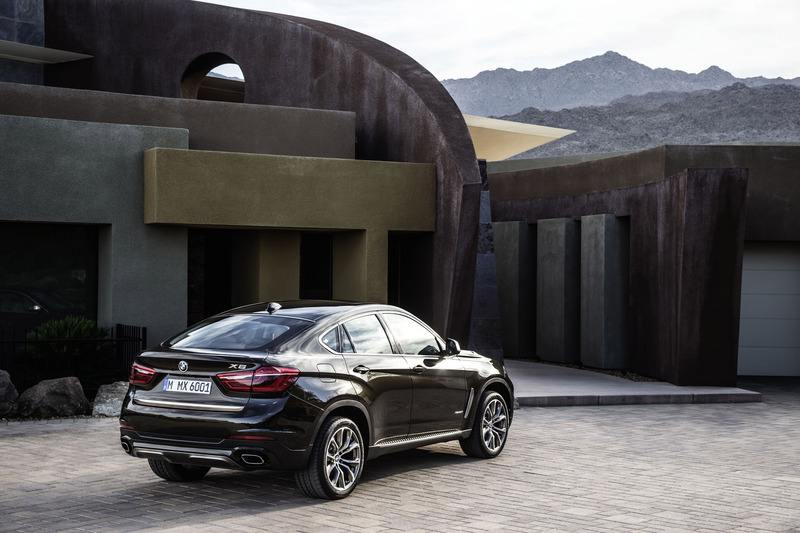 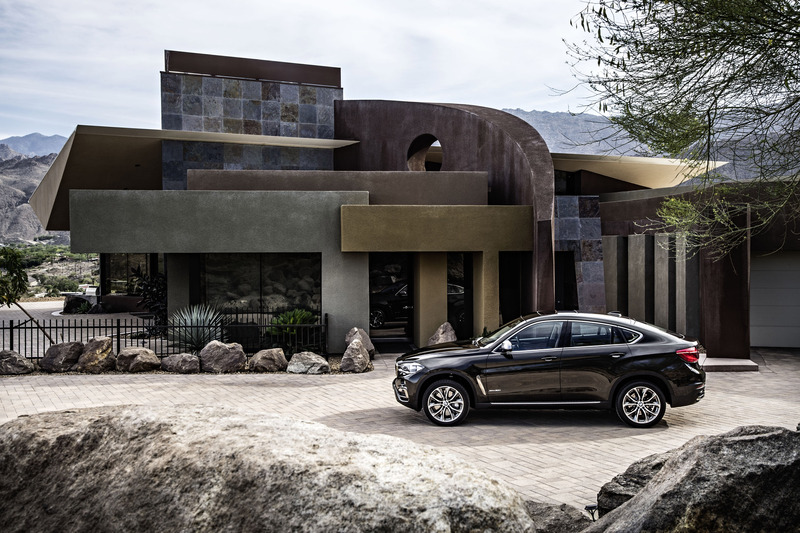 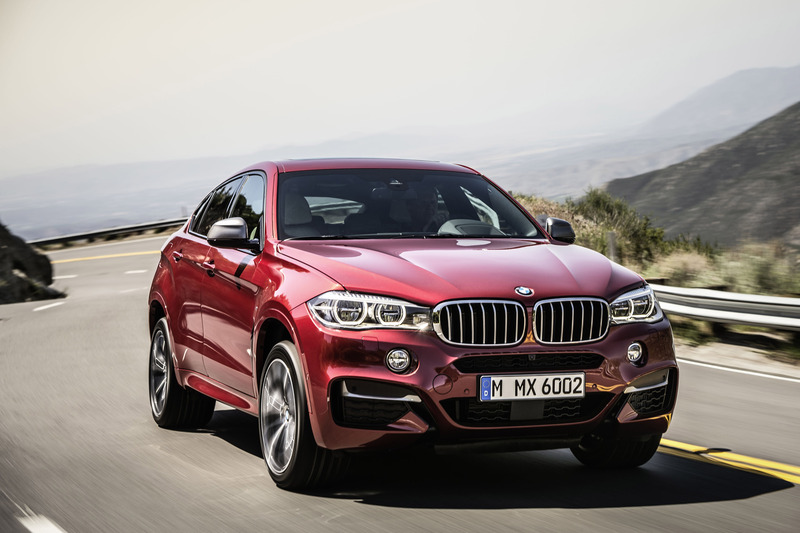 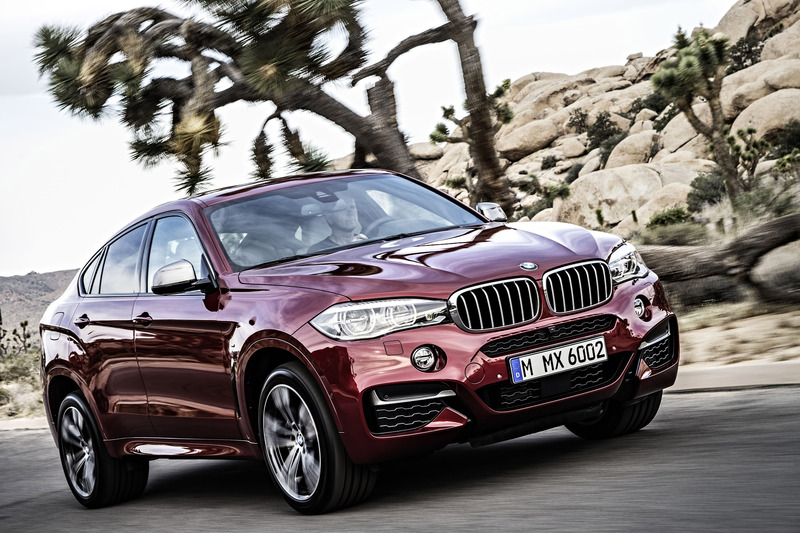 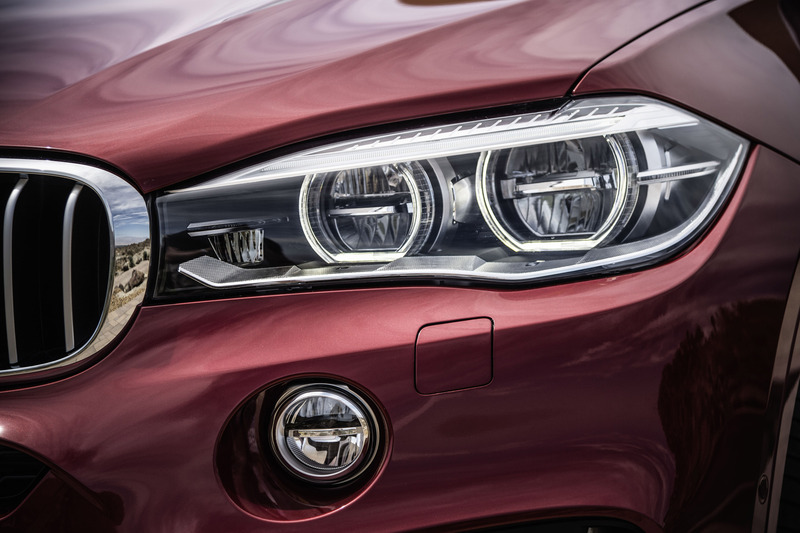 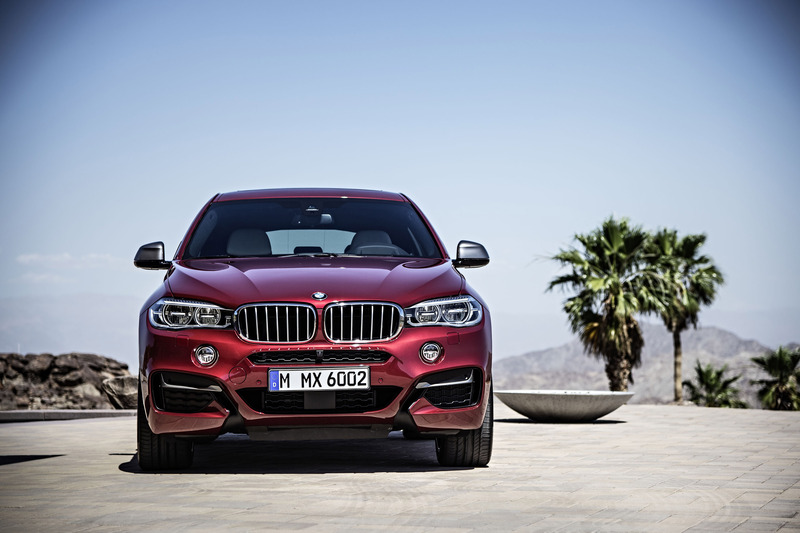 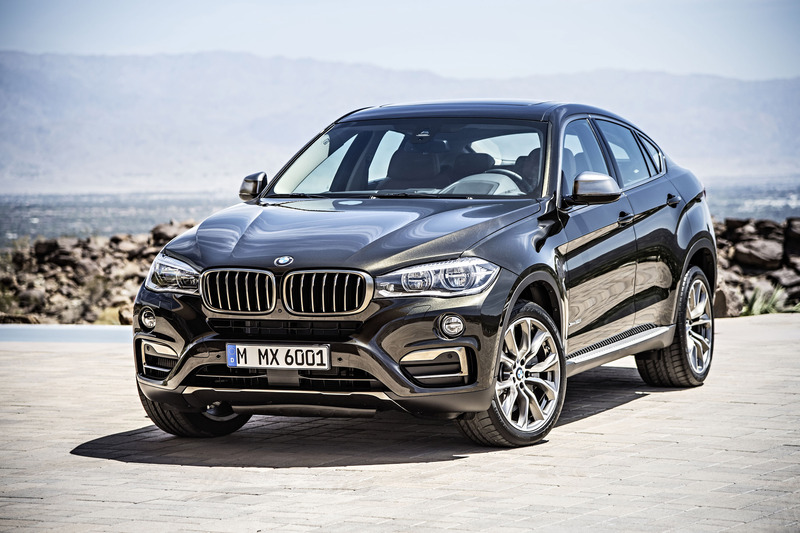 The new X6 F16 adopts the sporty exterior and the ultimate masculine stance. 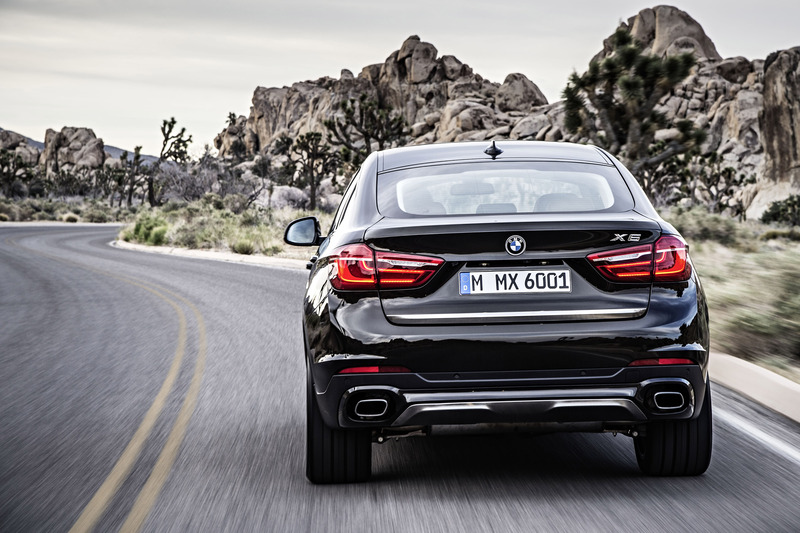 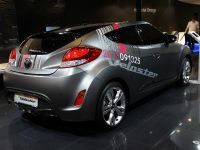 Despite this, the model boasts improved aerodynamics and additional standard equipment. 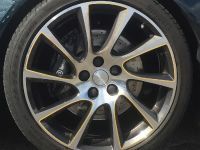 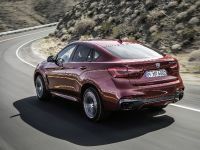 Standard features include bi-xenon headlights, an automatic tailgate and a set of 19" alloy wheels, which look pretty tiny for the enormous body. 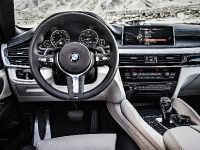 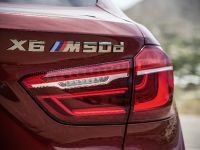 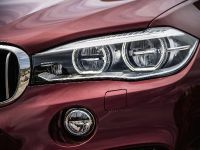 There will be also a ///M-sport model coming with a complete aerodynamics package including revised bumpers, a matte aluminum grille and a different 19" lightweight alloy wheels. 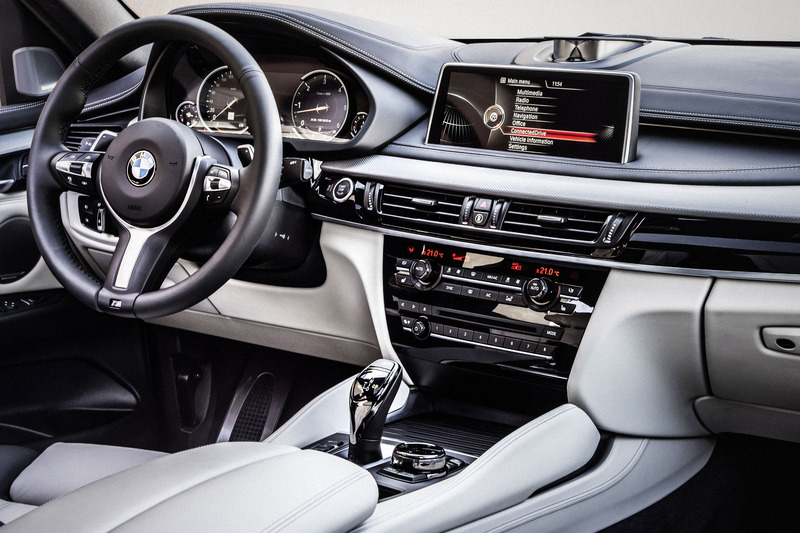 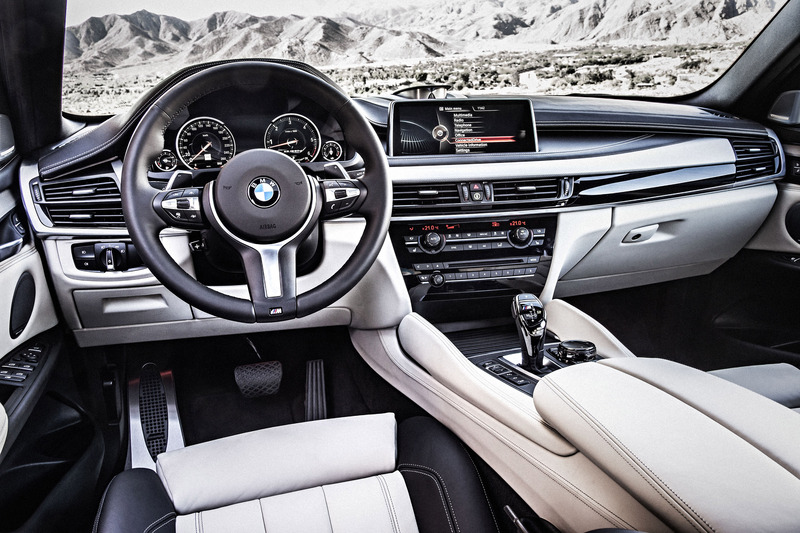 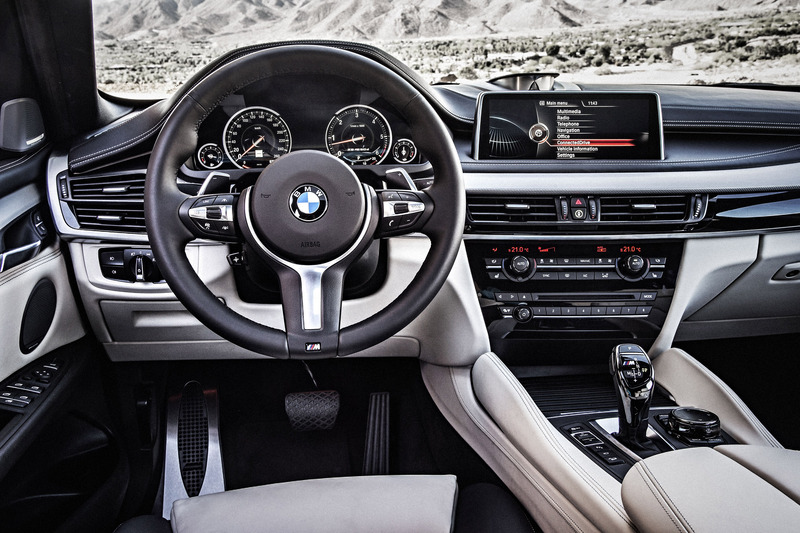 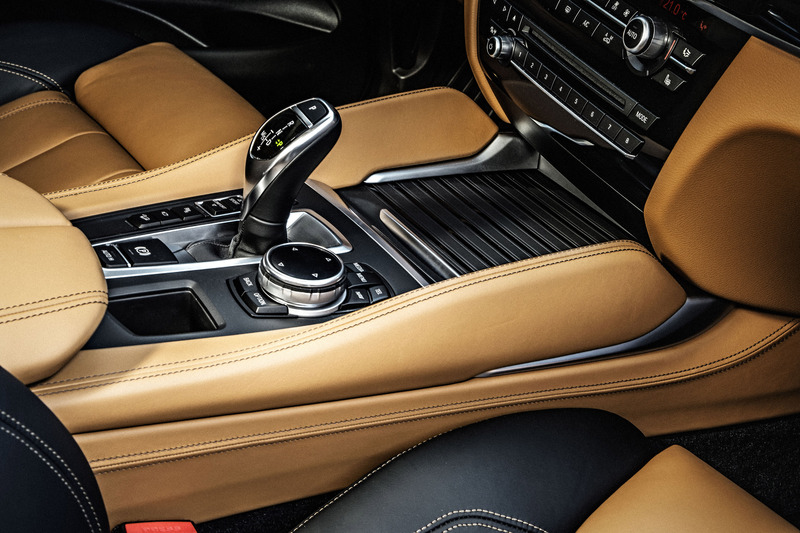 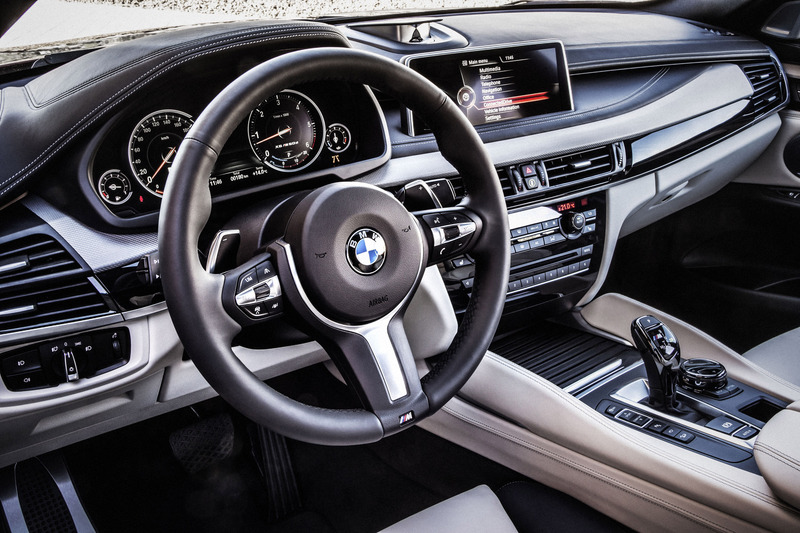 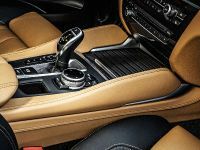 The interior of the ///M-sport model is also improved – sport front seats, sports steering wheel and illuminated sill plates. 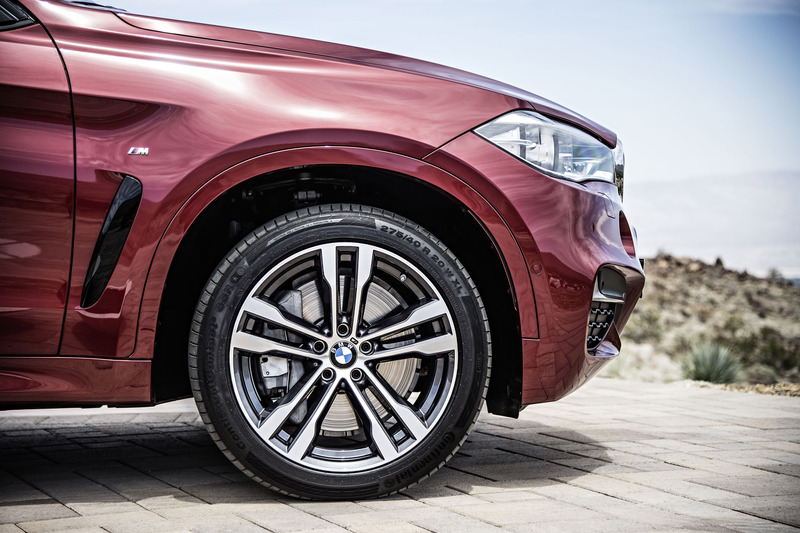 Last, but not least is the Adaptive M suspension and a self-leveling rear air suspension. 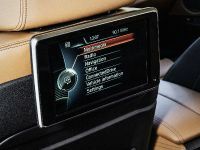 Dakota leather is all over the interior and the iDrive infotainment system has a new 10.25" display. 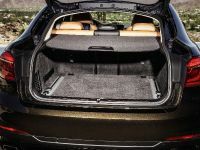 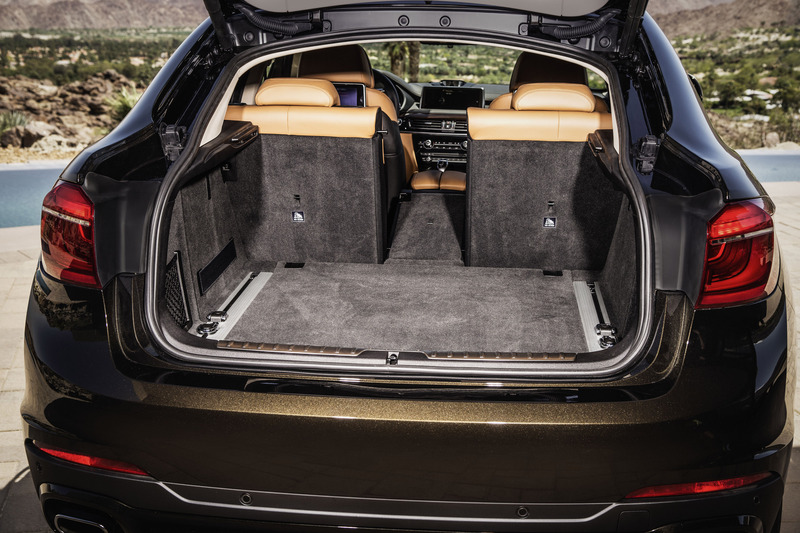 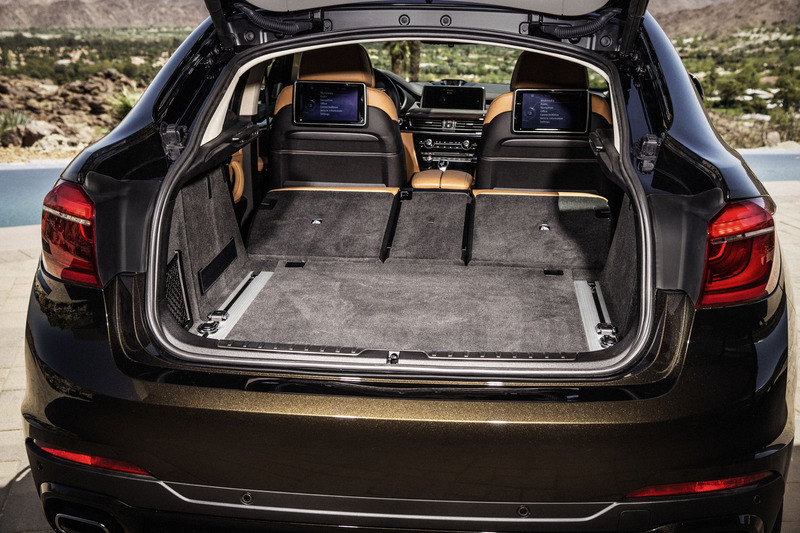 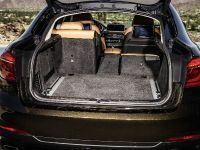 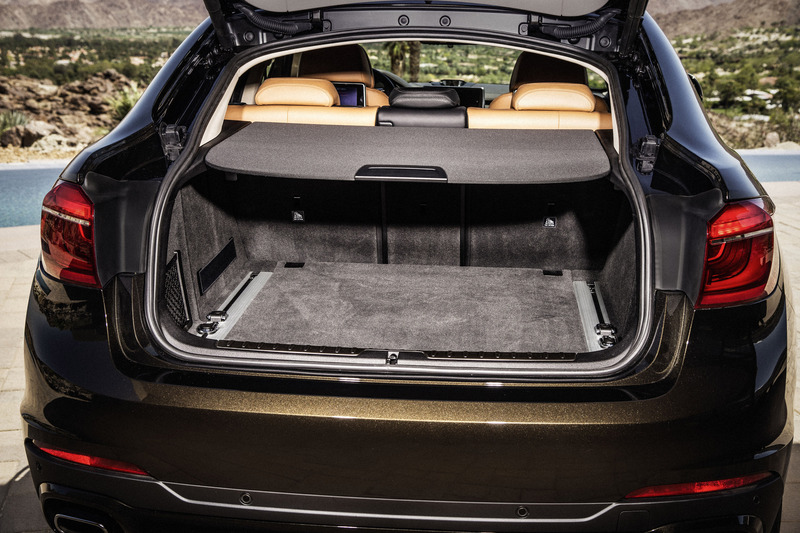 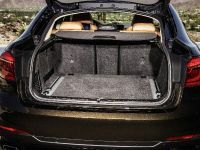 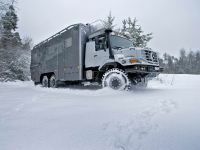 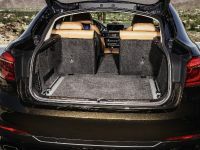 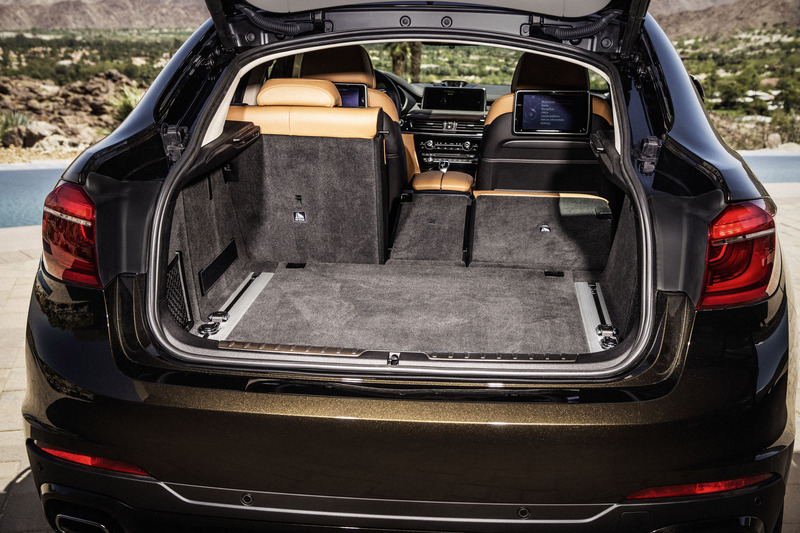 Other highlights include a dual zone climate control system, center console-mounted knee pads and a big luggage compartment with up to 1,525 liters. 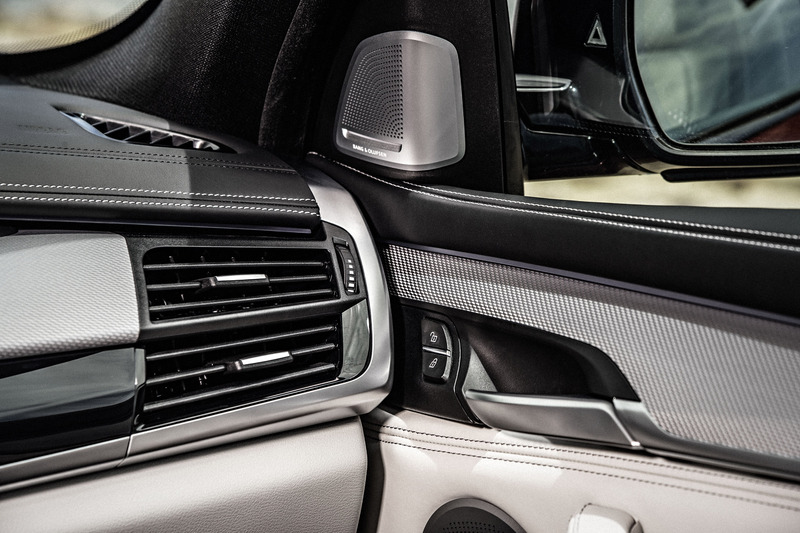 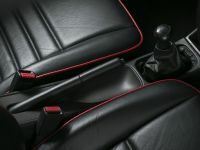 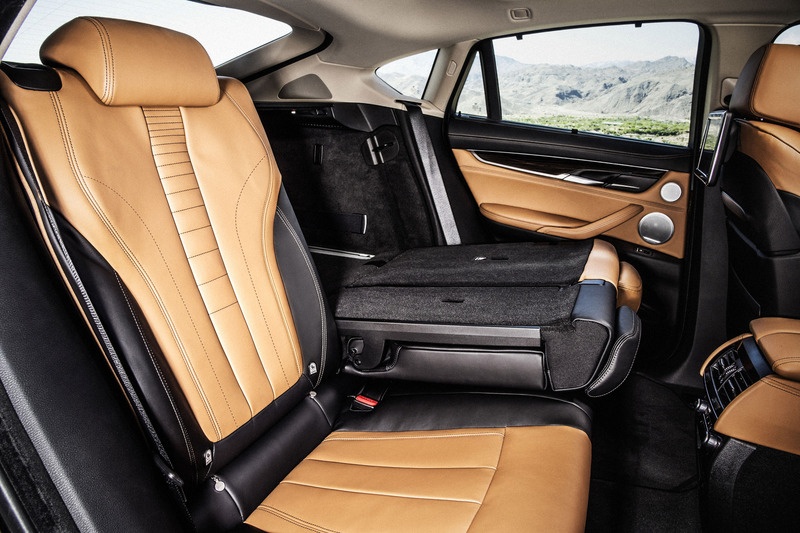 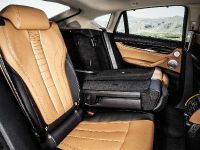 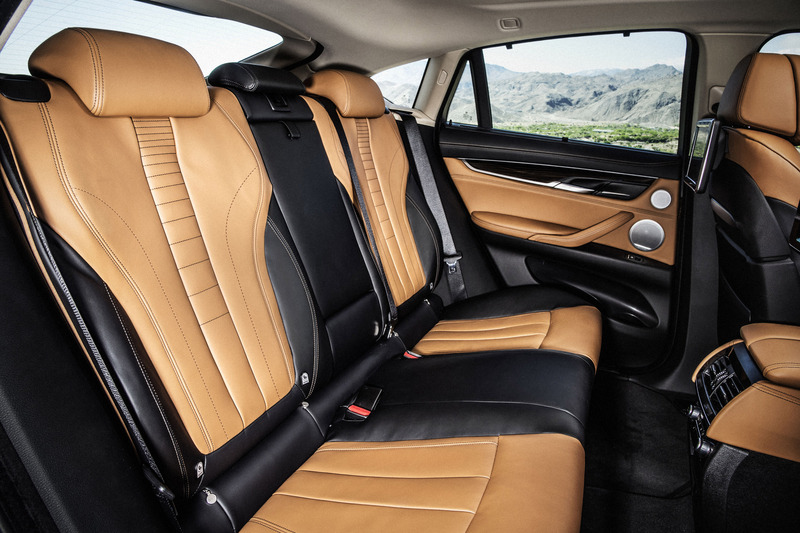 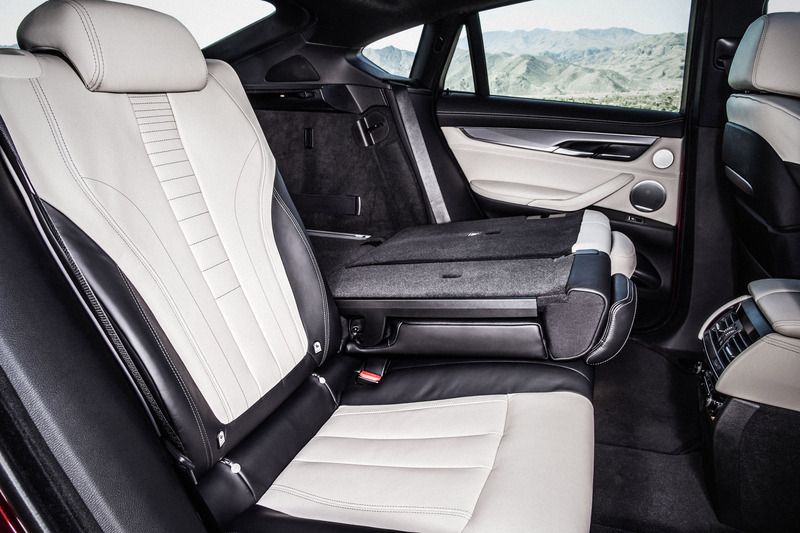 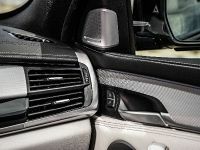 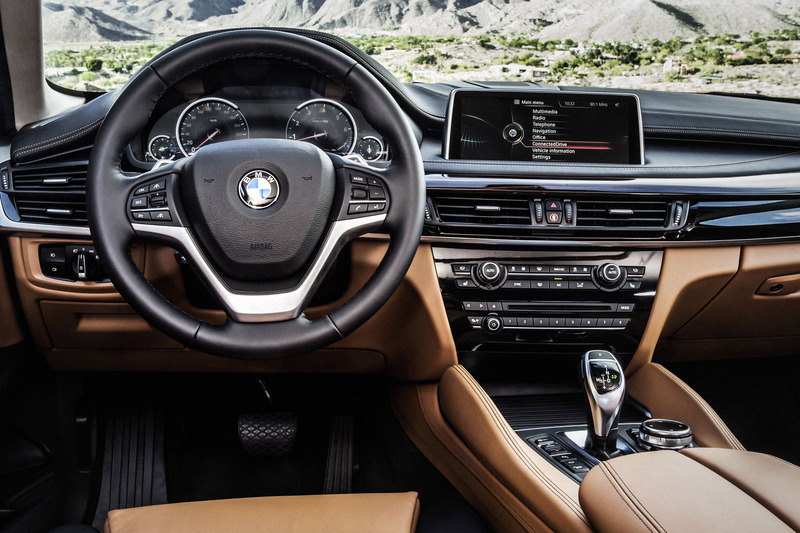 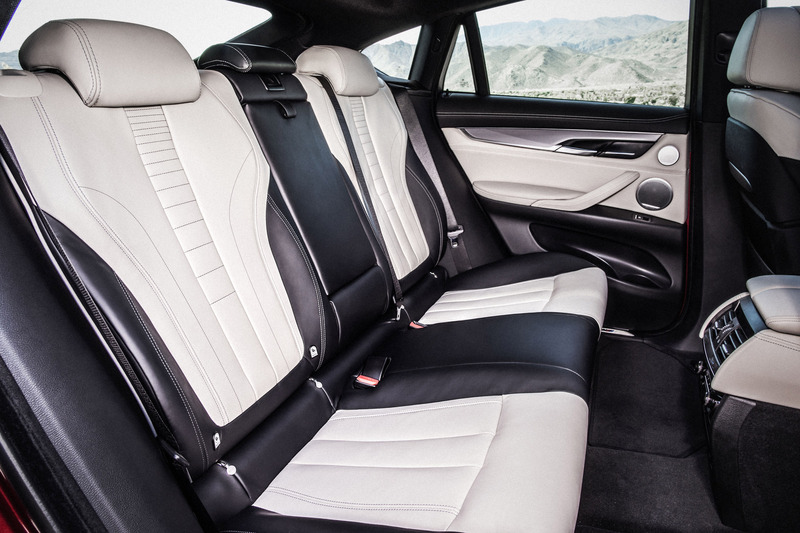 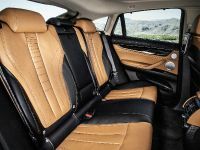 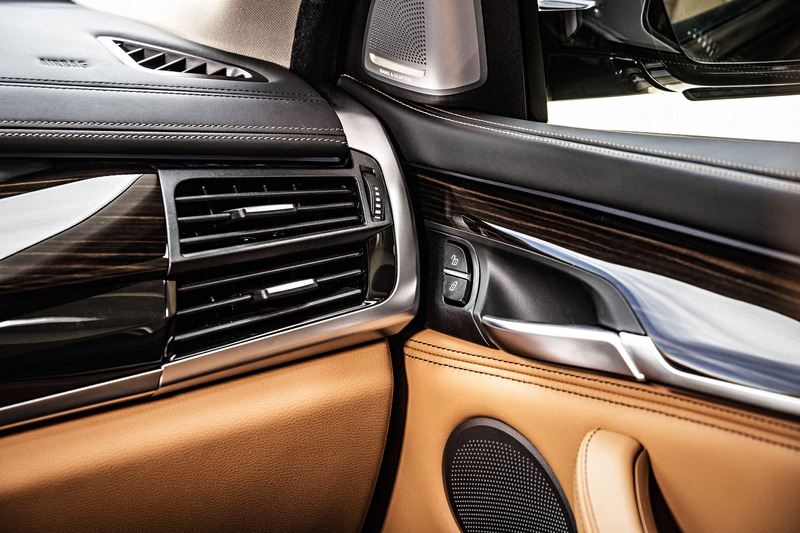 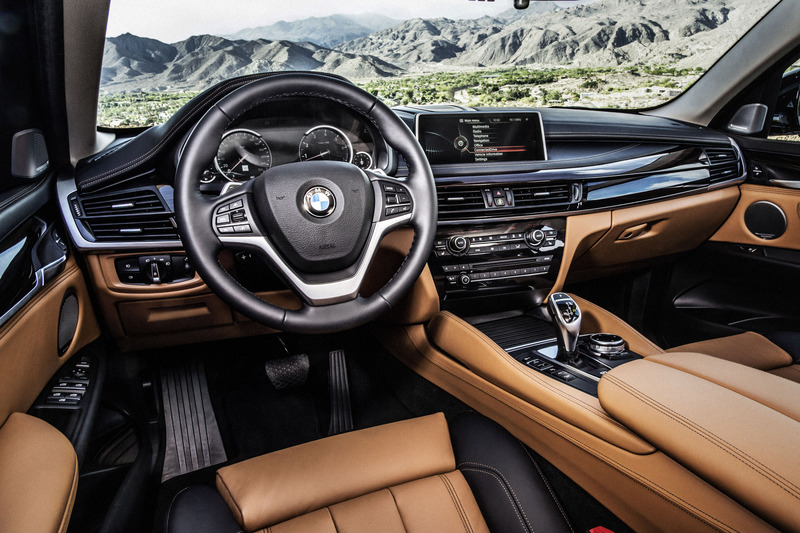 The color range for the interior includes Oxide Silver, Aluminum Hexagon, Brushed Aluminum, American Oak, Fineline Stripe, Fineline Pure or Poplar Grain trim. 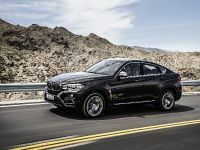 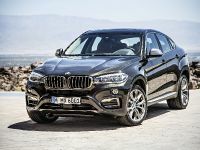 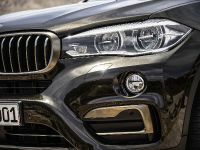 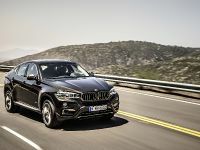 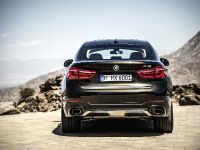 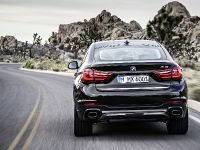 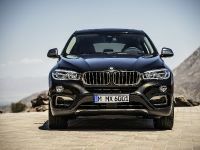 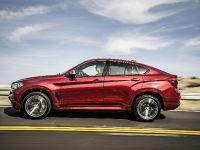 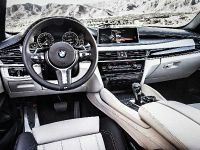 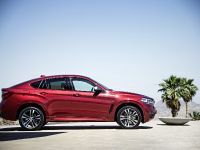 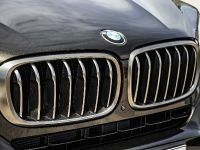 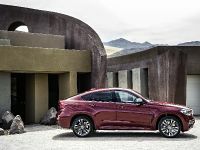 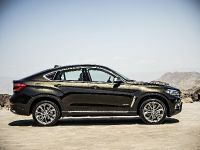 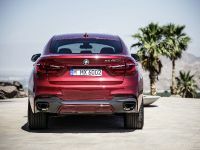 Initially, the engine range will include a 4.4 liter TwinPower Turbo V8 for the xDrive50i – 450HP (330 kW) and 650Nm (479 lb-ft) of torque. 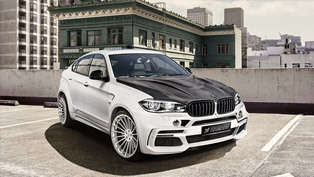 0-100 km/h in 4.8 seconds and a top speed of 250 km/h (155 mph). 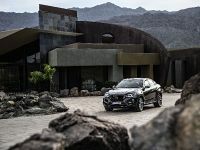 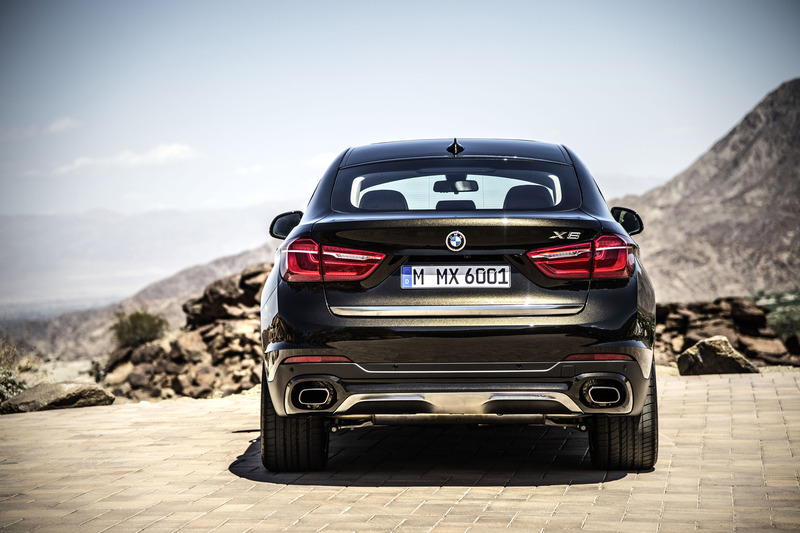 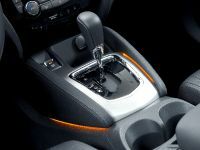 A 3.0 liter TwinPower Turbo six-cylinder diesel for the xDrive30d with 258HP (190 kW) and 560Nm (413 lb-ft). 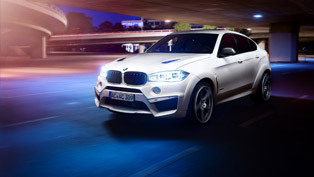 0-100 km/h in 6.7 seconds and a top speed of 230 km/h (143 mph). 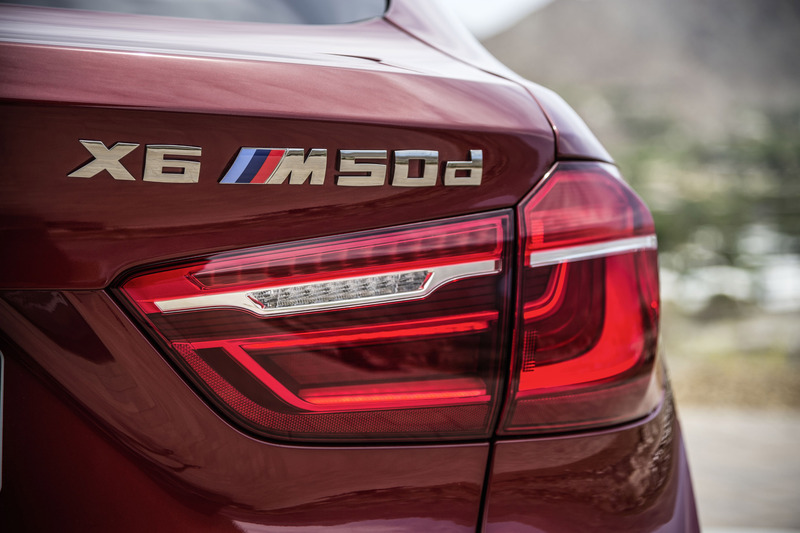 Last, but not least is the M50d with a 3.0 liter three-turbocharged six-cylinder diesel – 381HP (280 kW) and 740Nm (545 lb-ft) of torque. 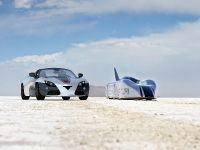 0-100 km/h in 5.2 seconds and a top speed of 250 km/h (155 mph). 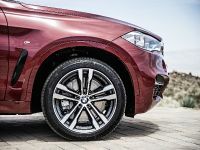 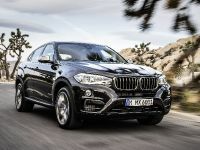 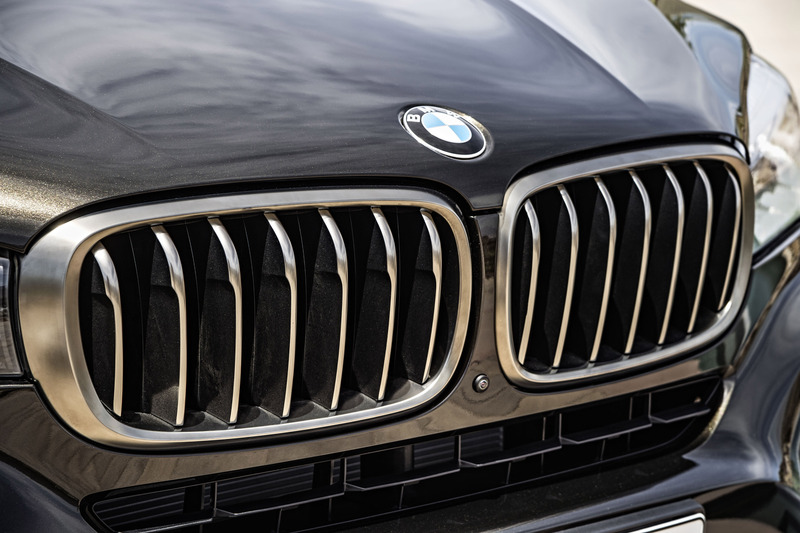 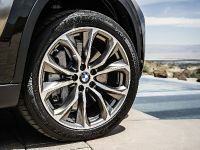 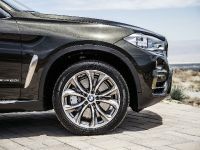 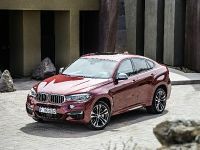 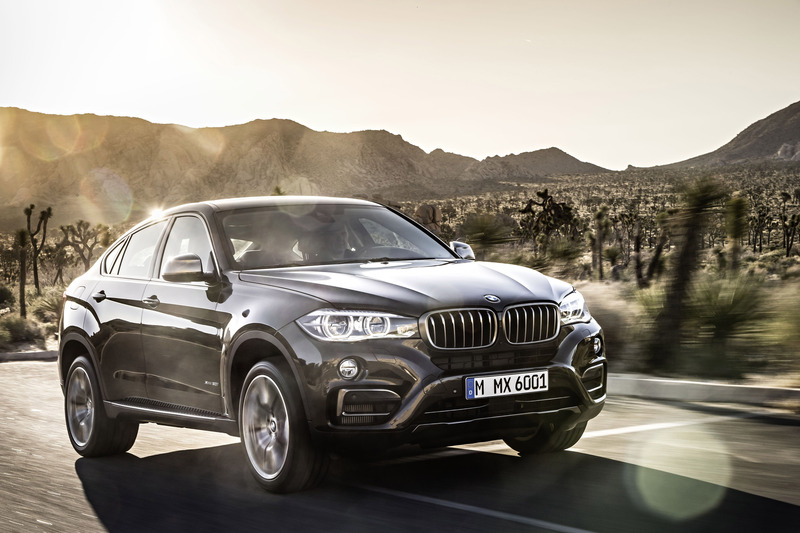 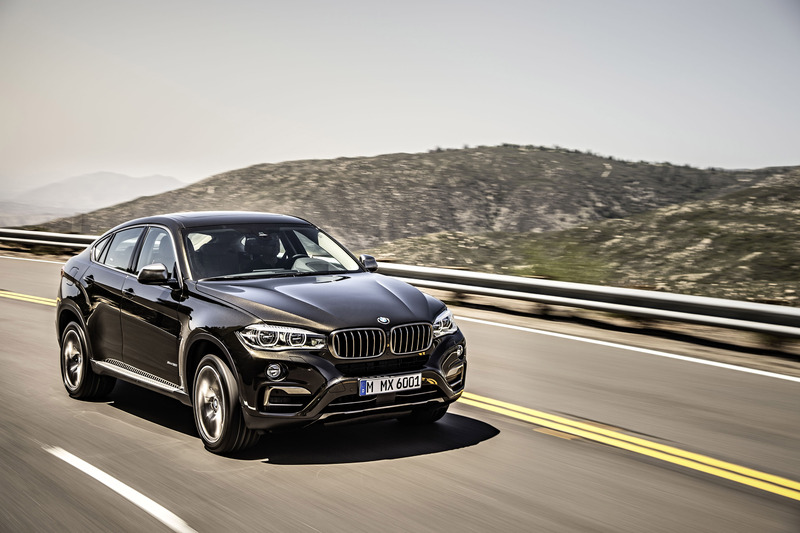 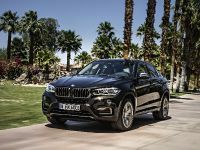 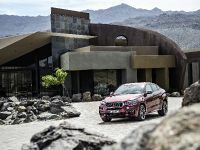 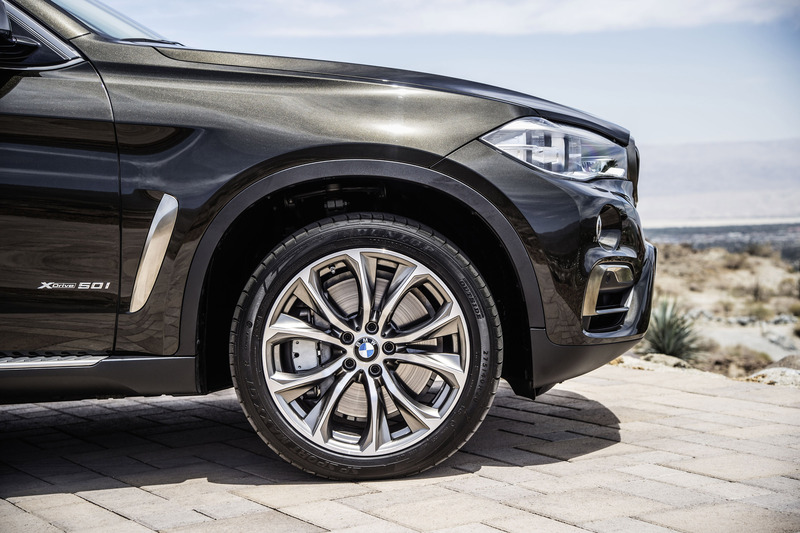 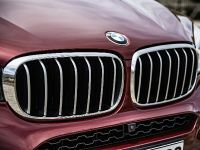 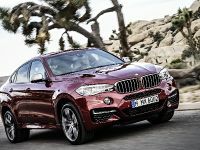 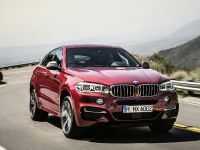 The model range will be joined by sDrive35i, xDrive35i and xDrive40d. 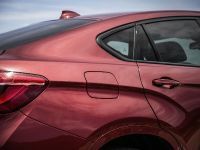 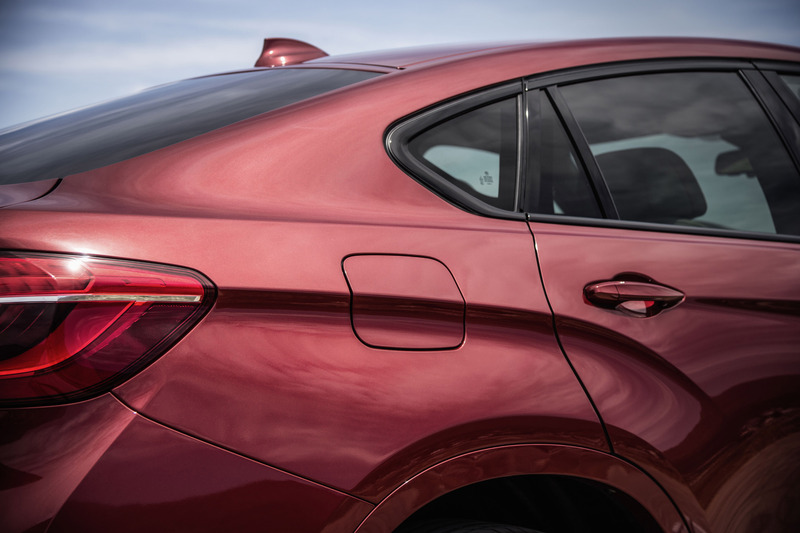 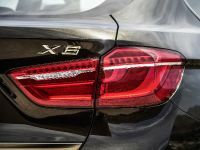 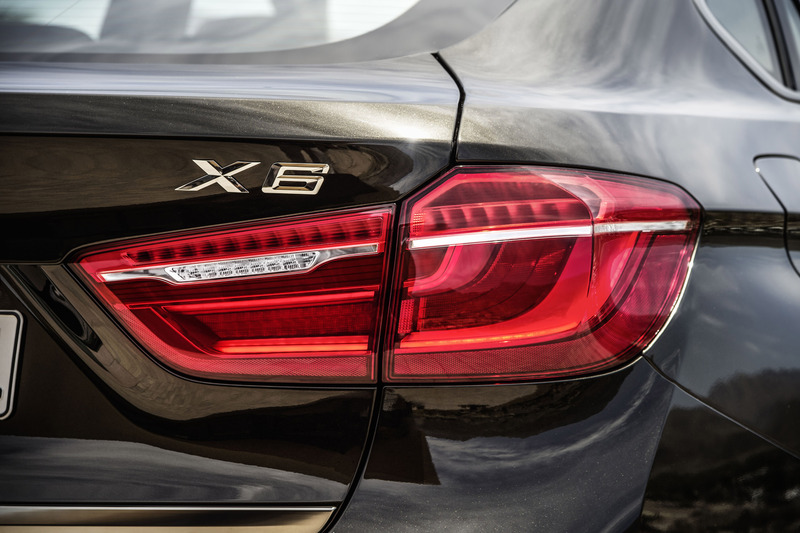 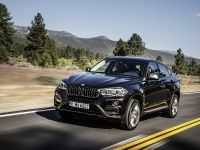 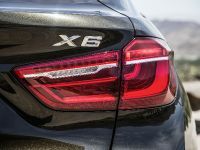 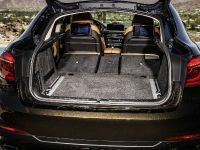 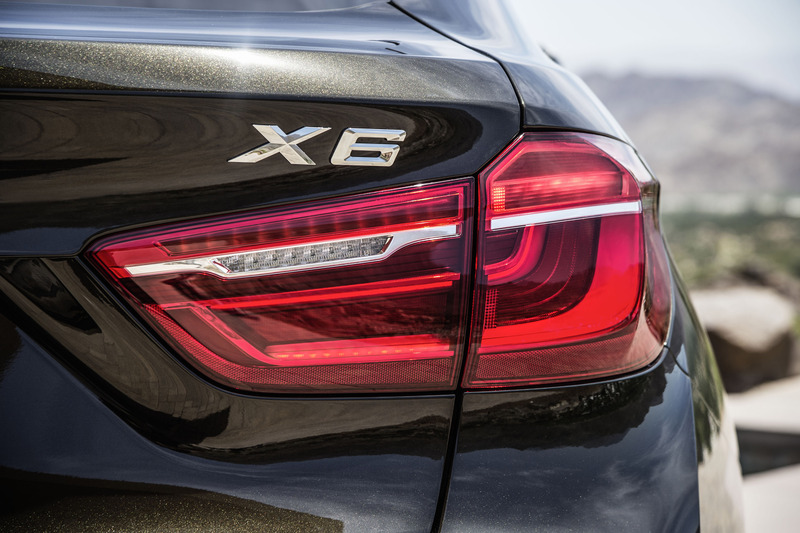 Despite the new options and features, the 2015 X6 F16 will be up to 40 kg lighter than its predecessor thanks to an intelligent mix of lightweight materials - aluminum, magnesium and thermoplastics.